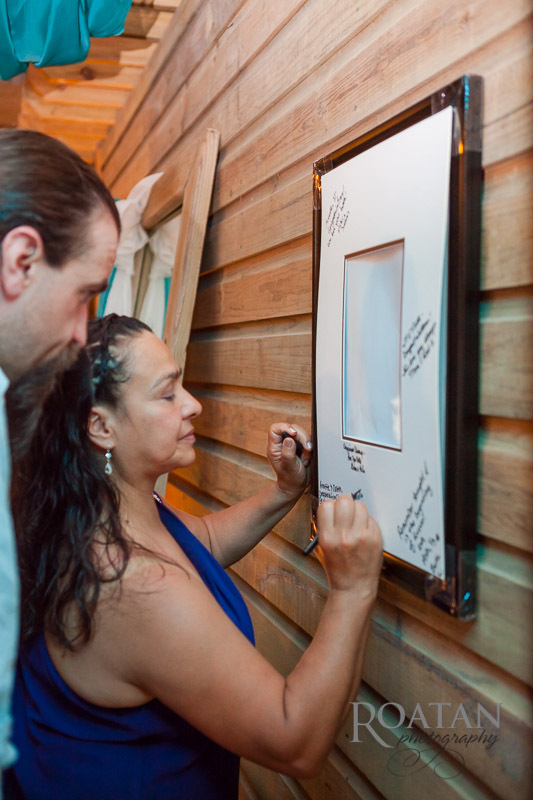 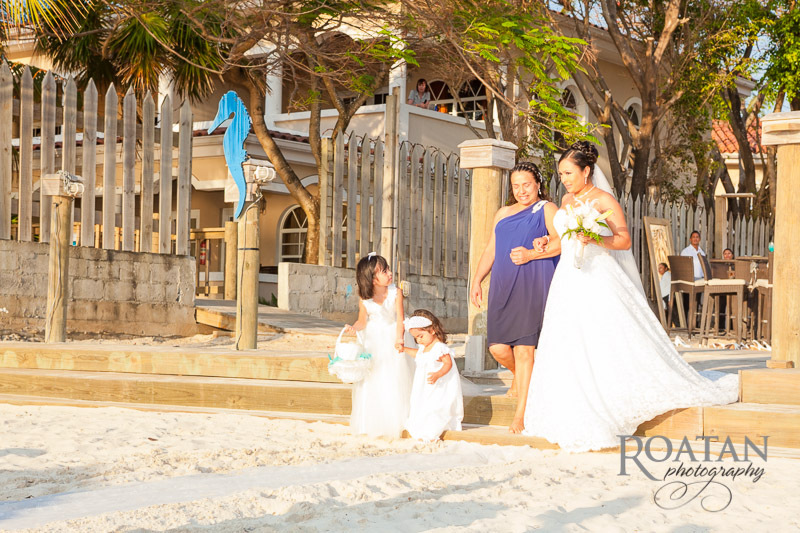 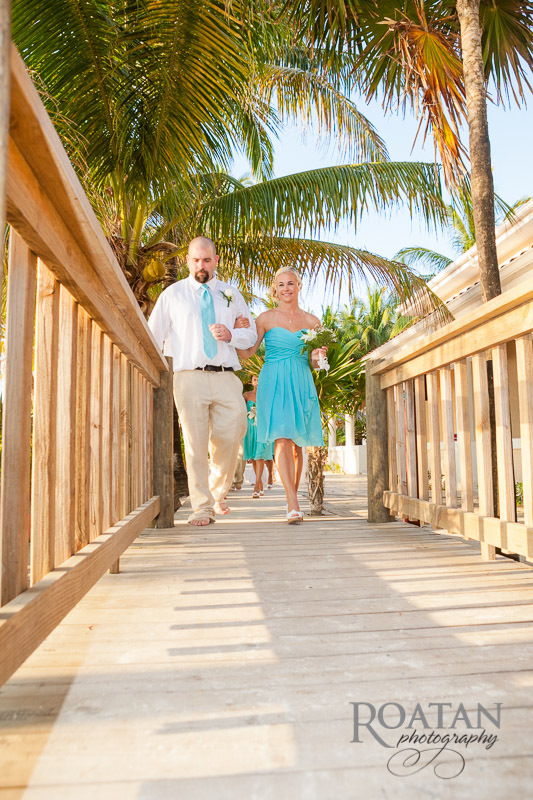 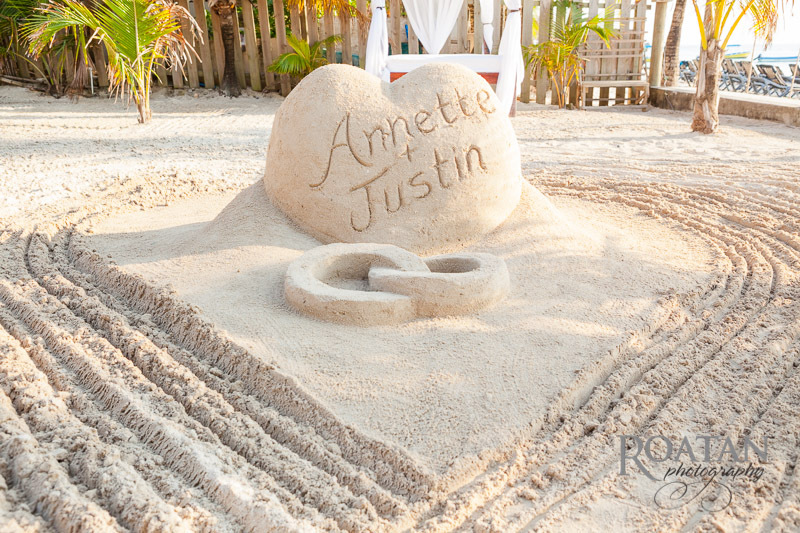 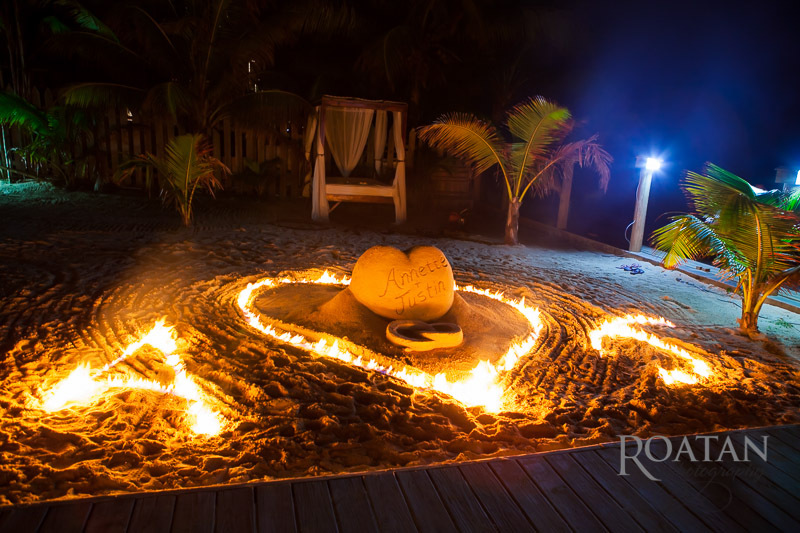 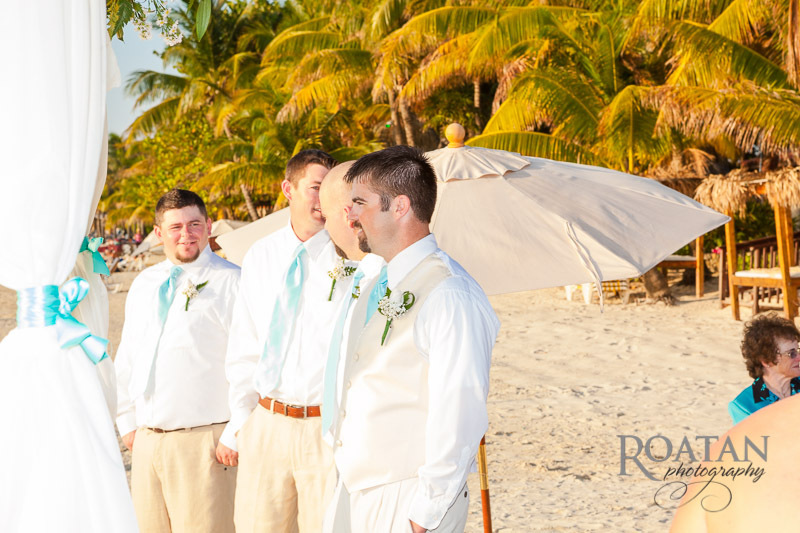 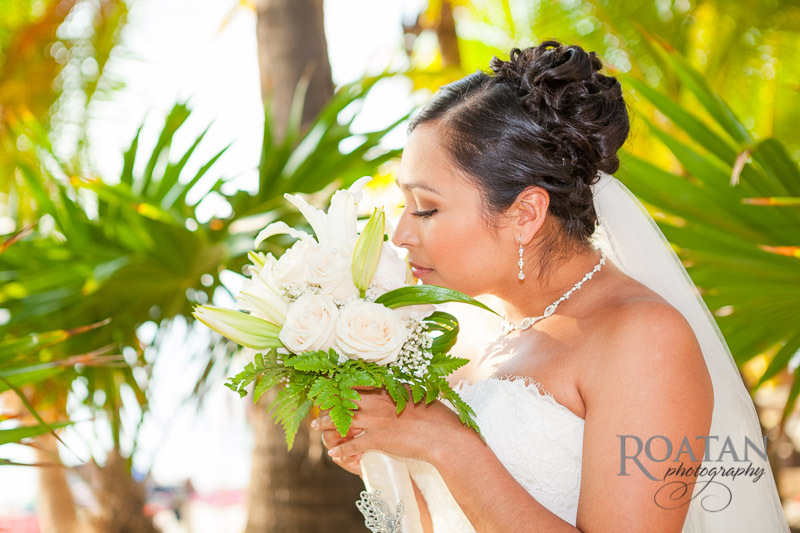 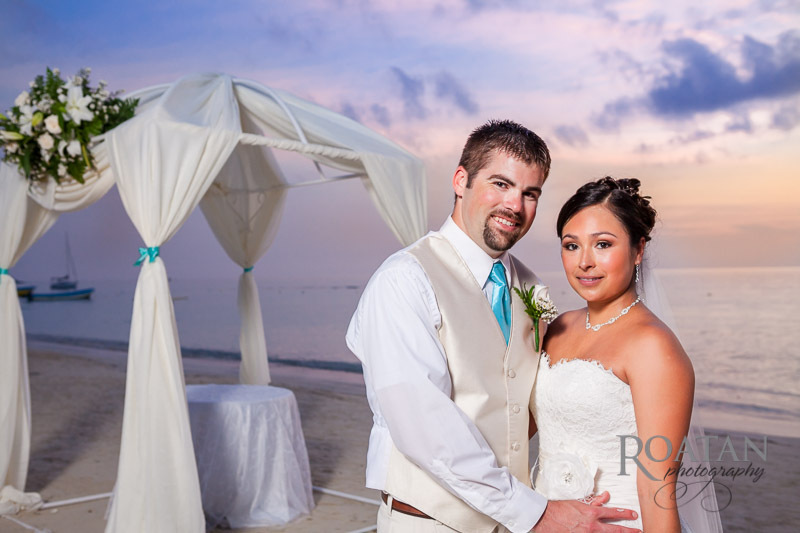 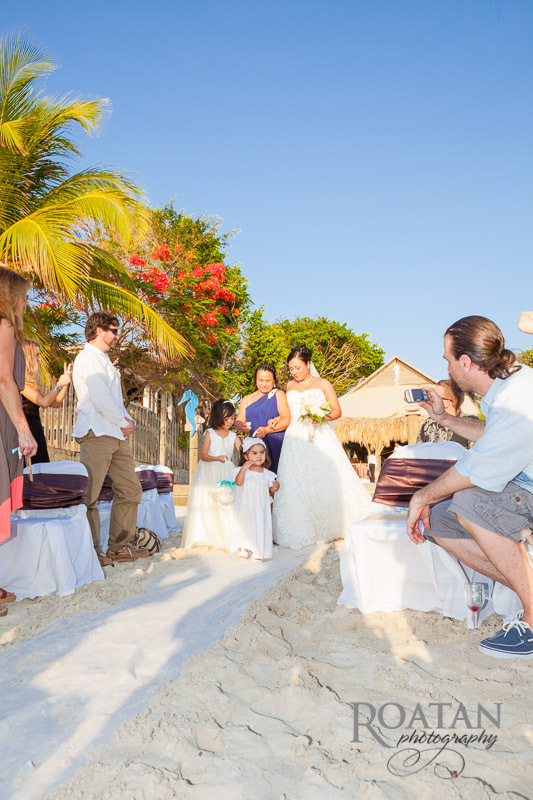 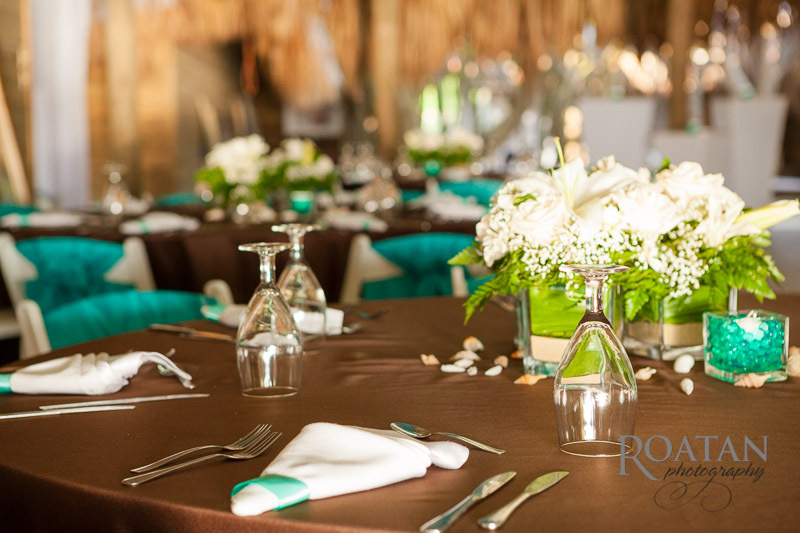 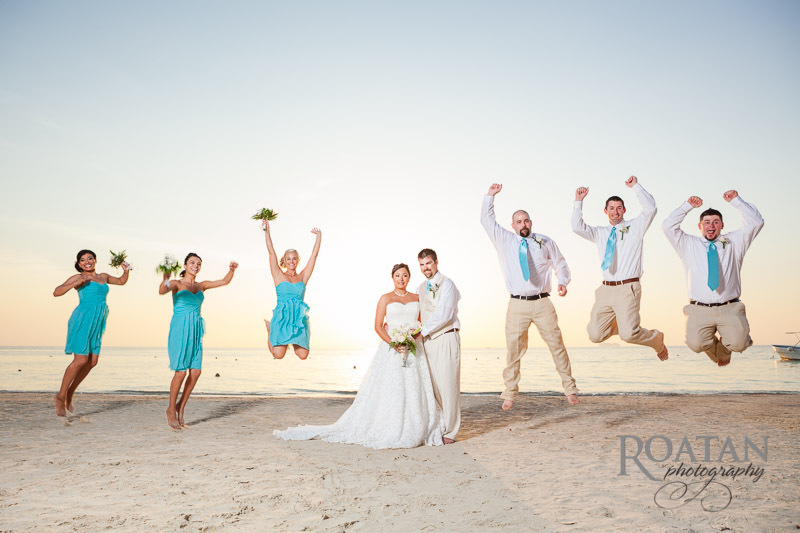 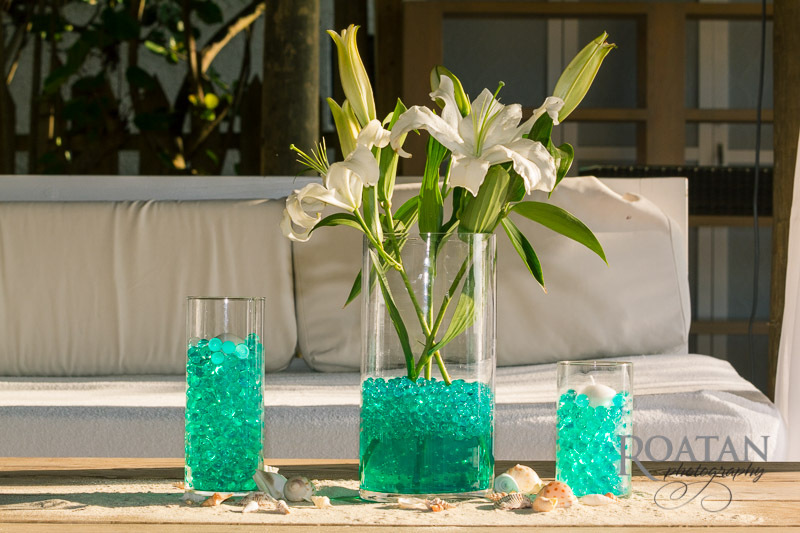 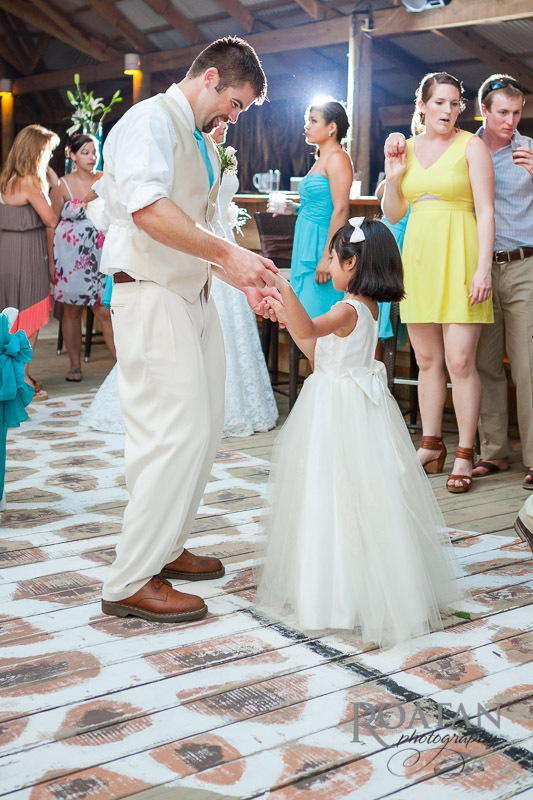 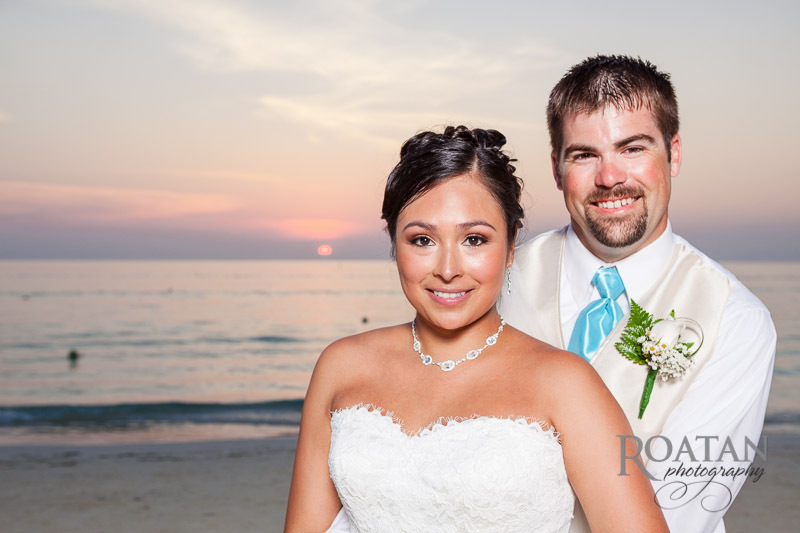 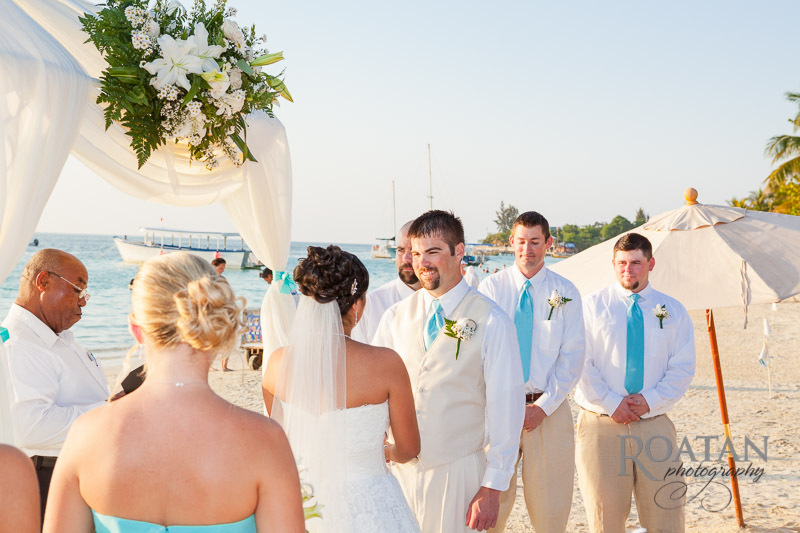 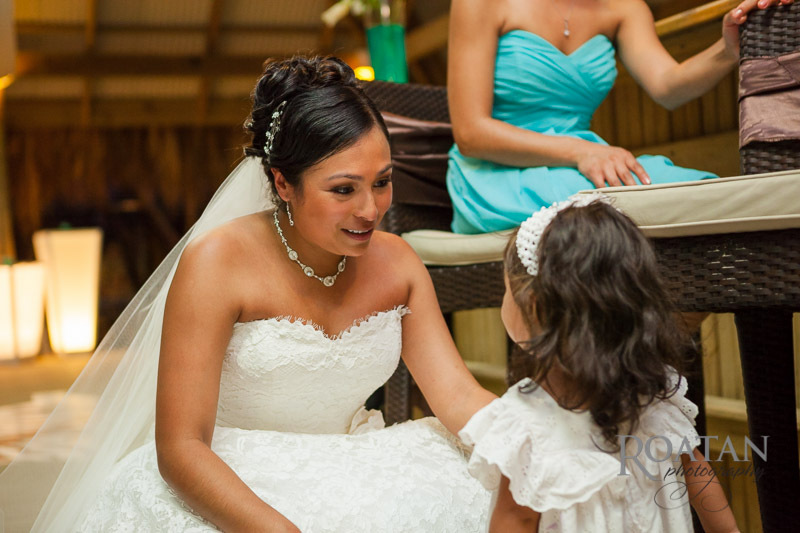 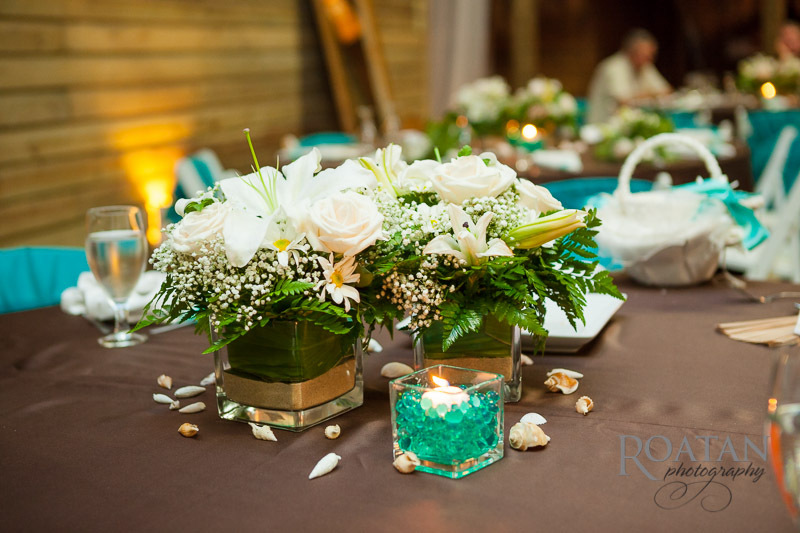 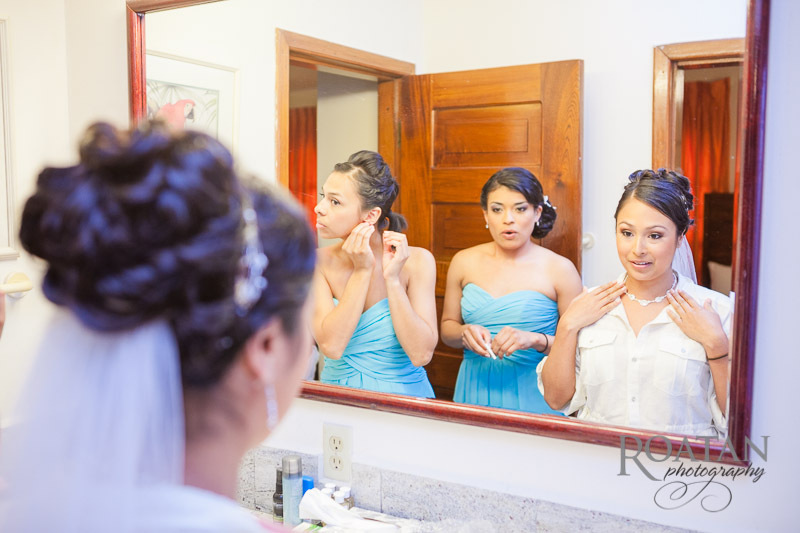 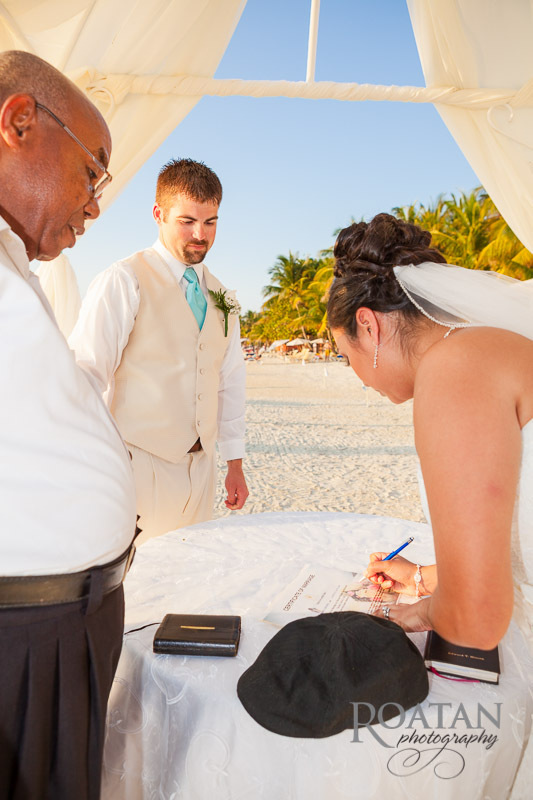 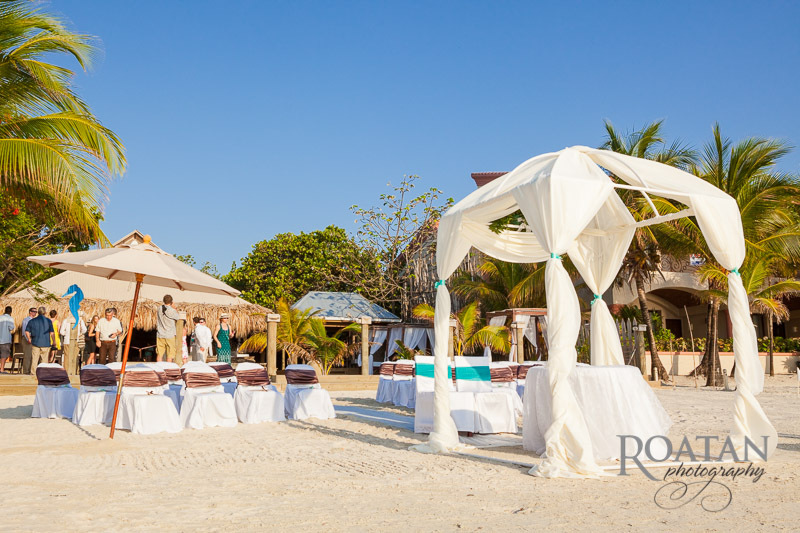 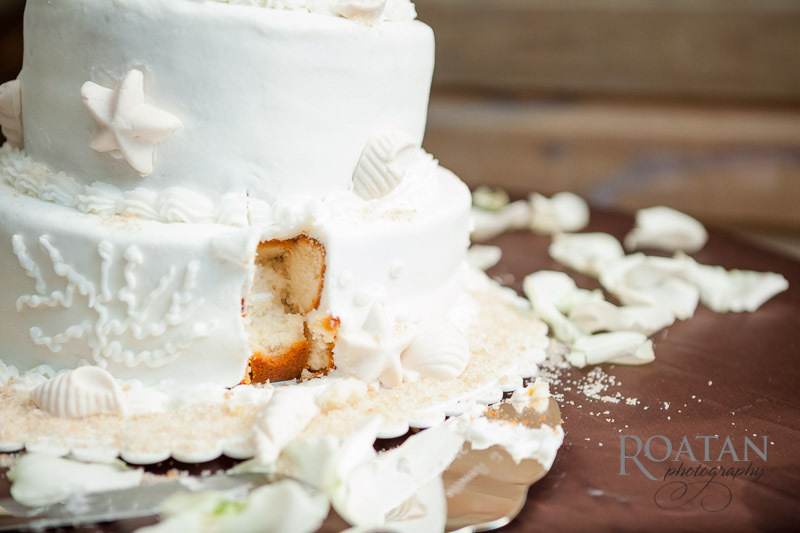 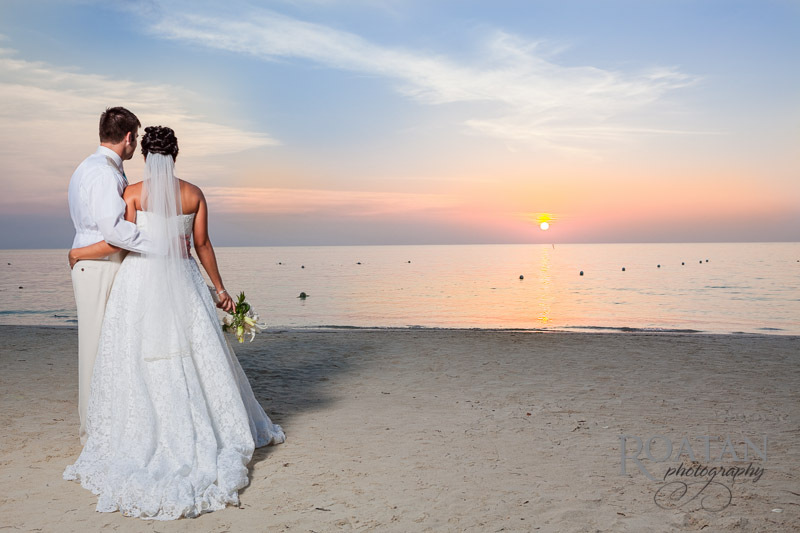 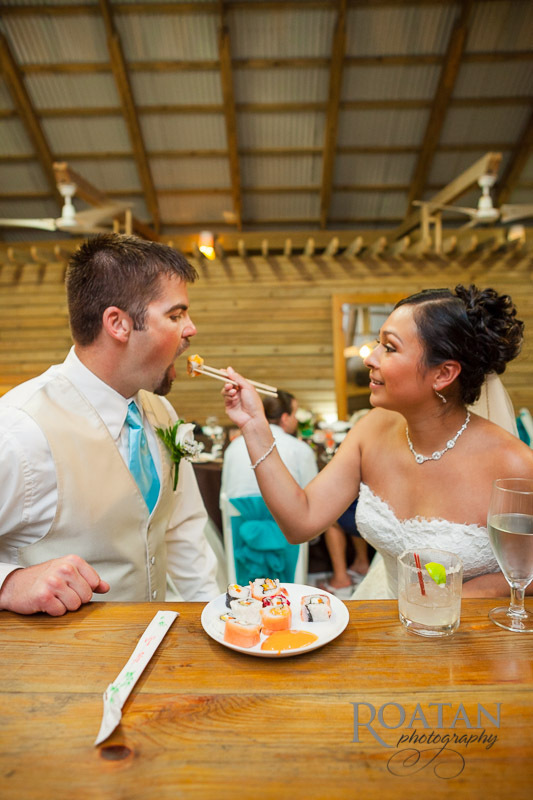 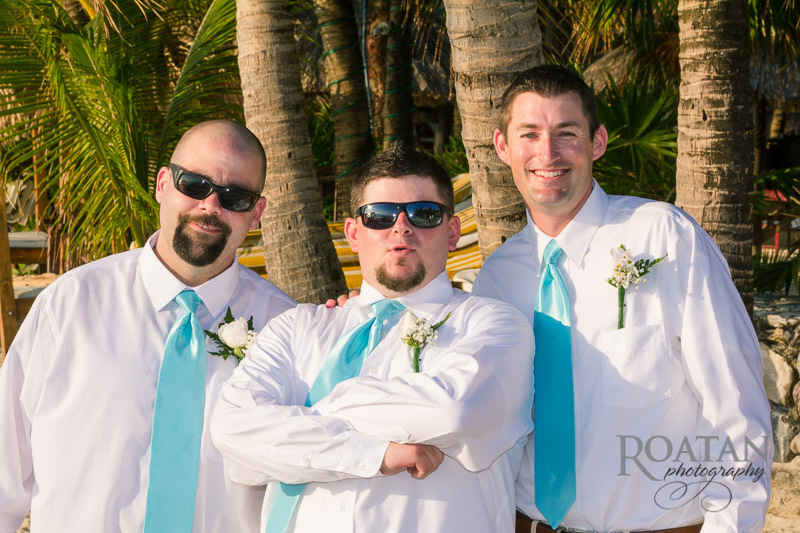 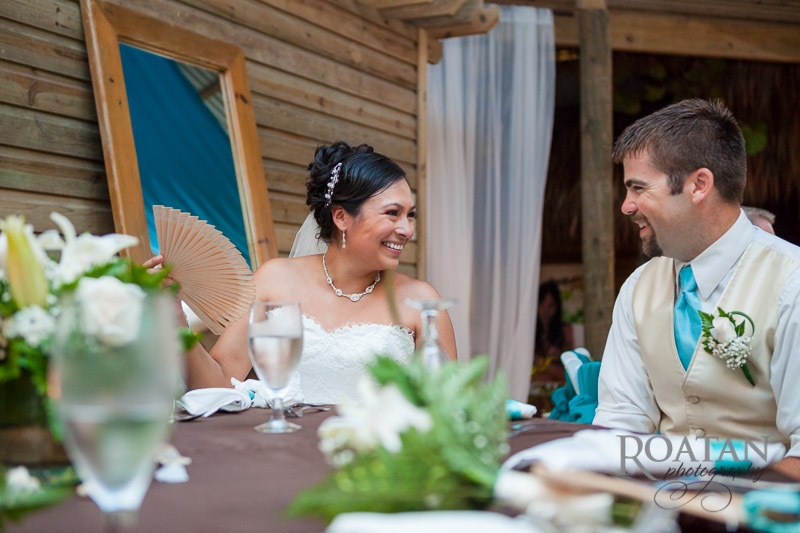 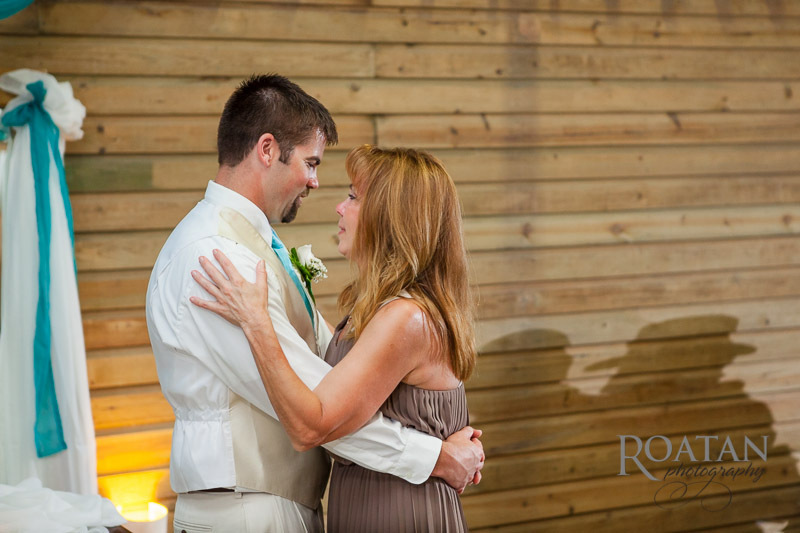 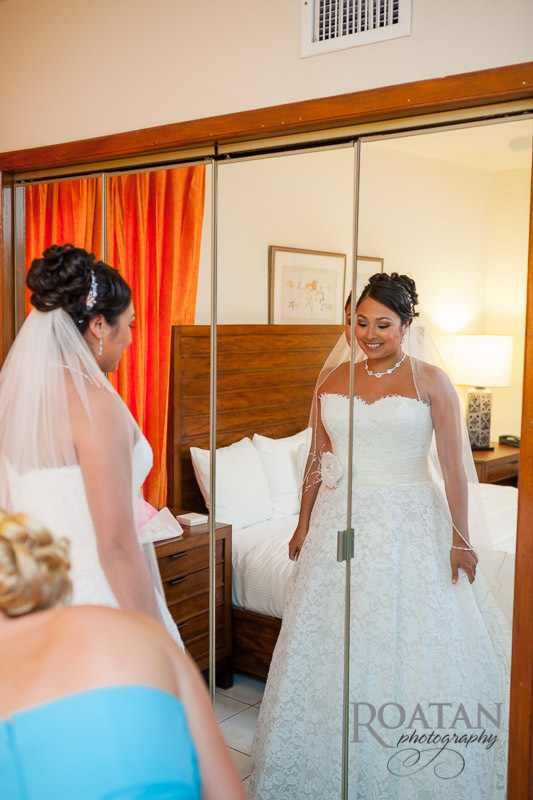 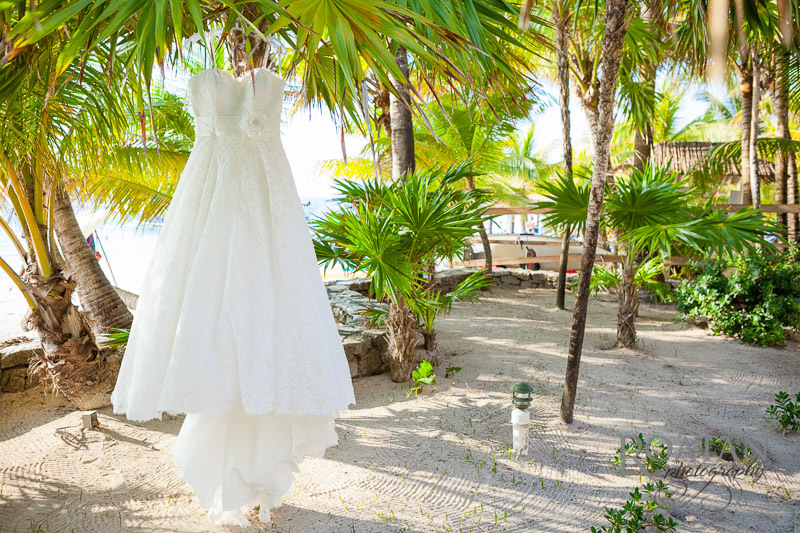 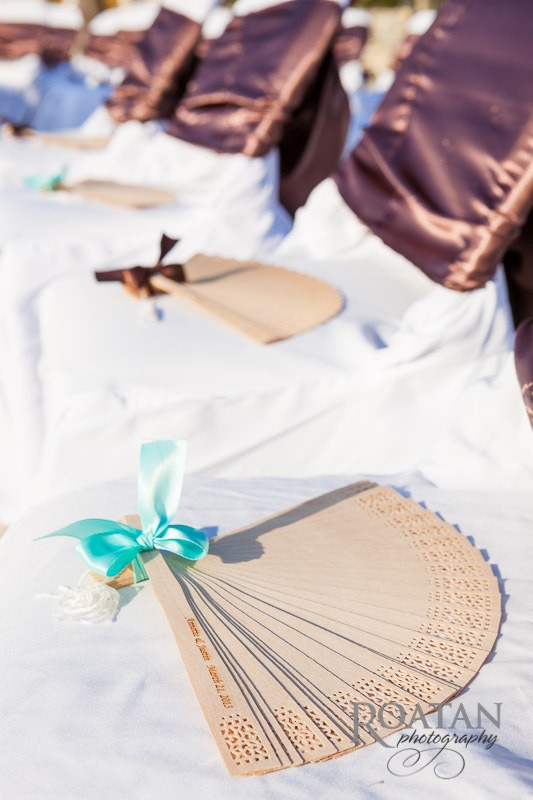 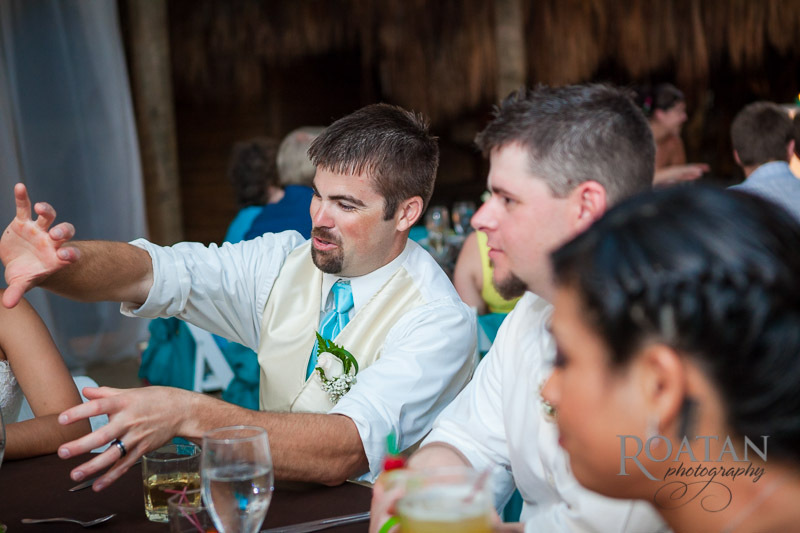 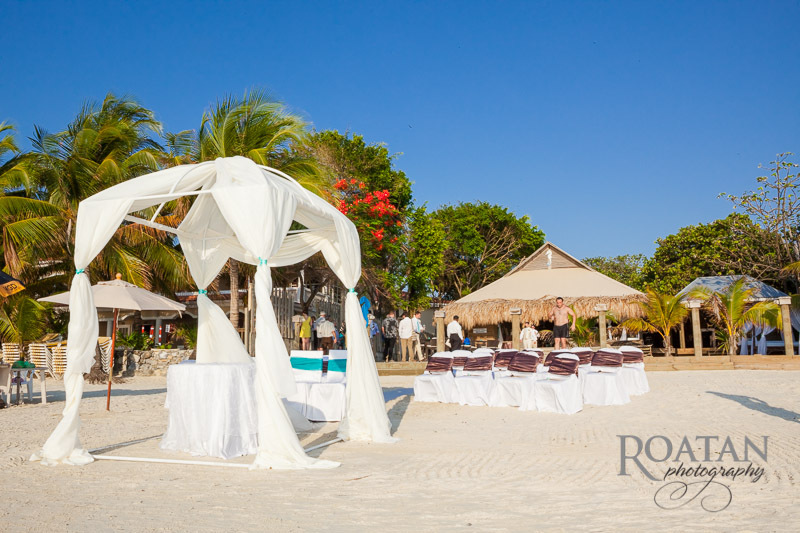 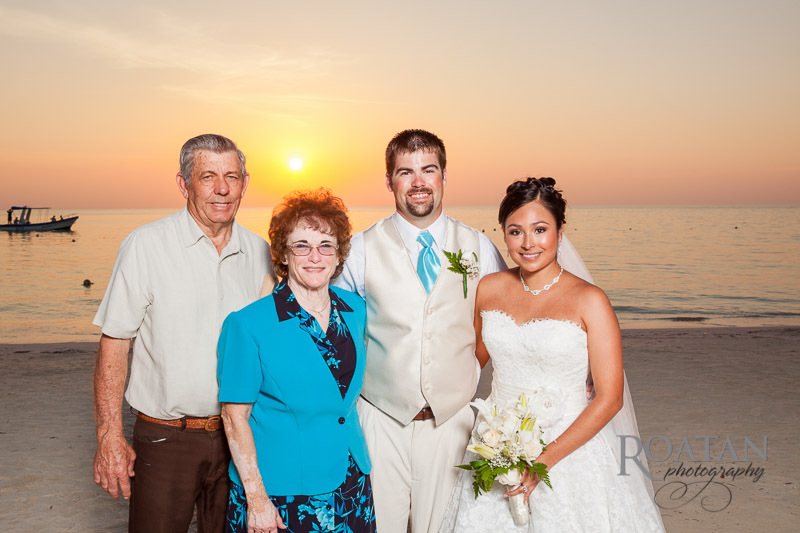 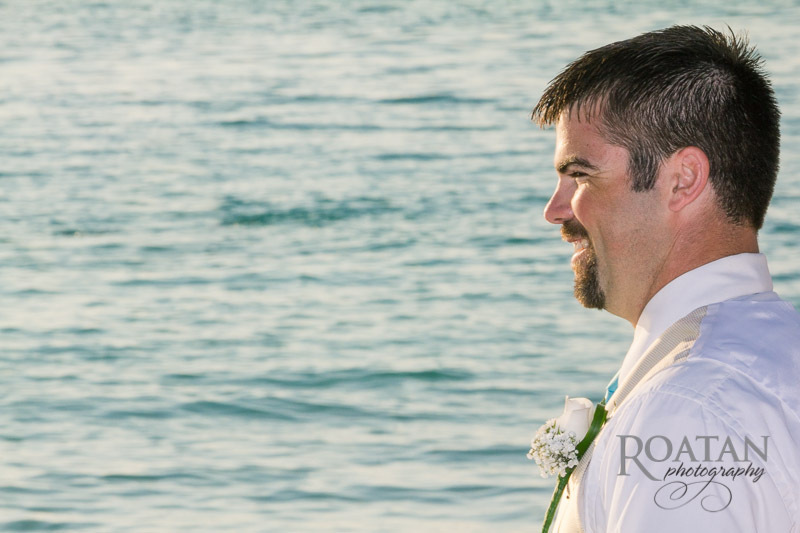 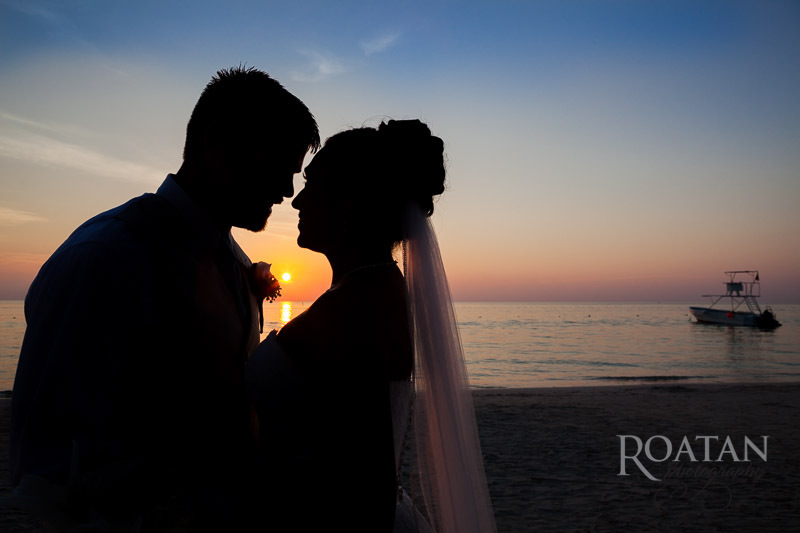 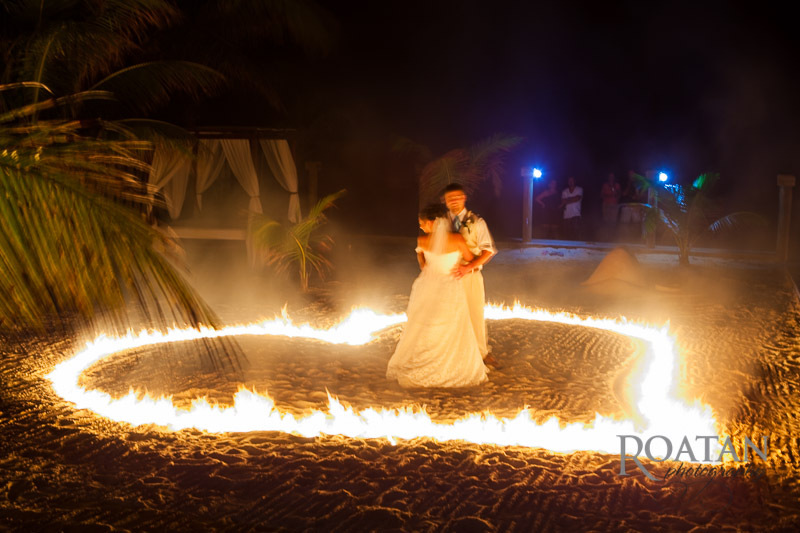 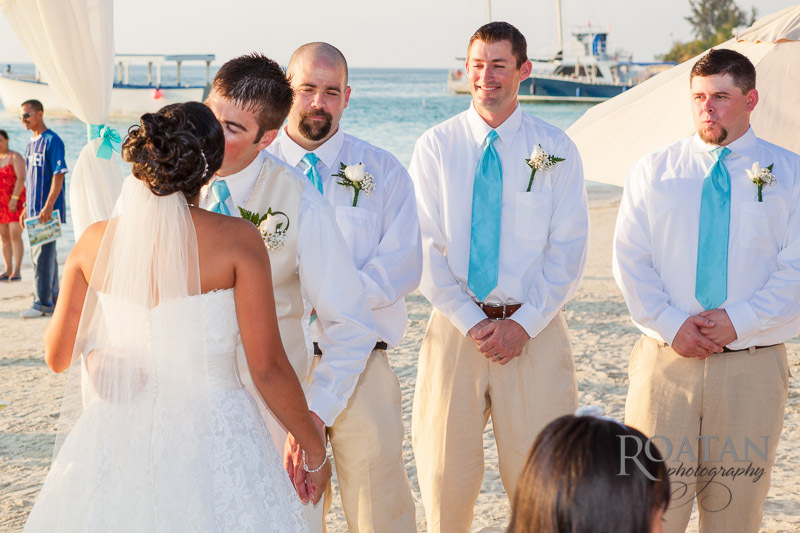 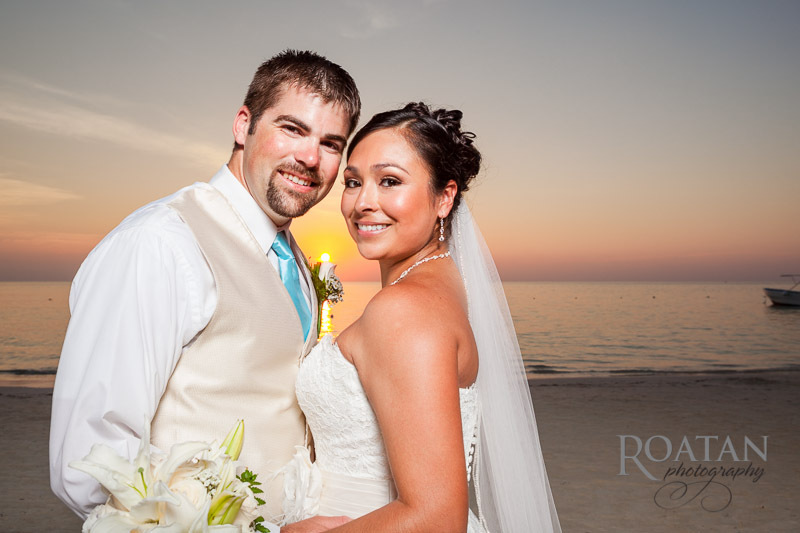 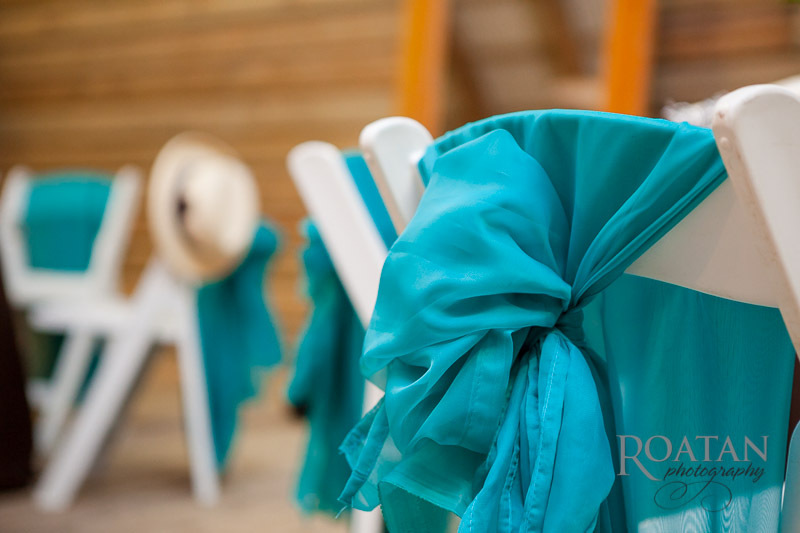 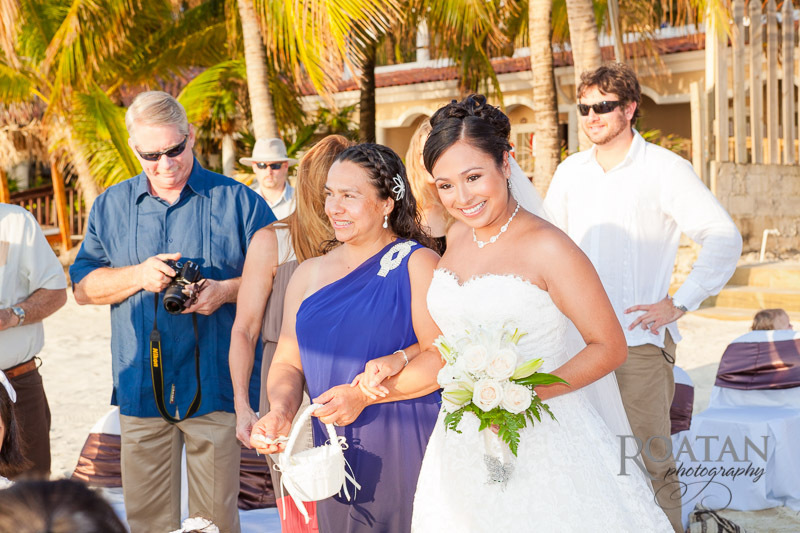 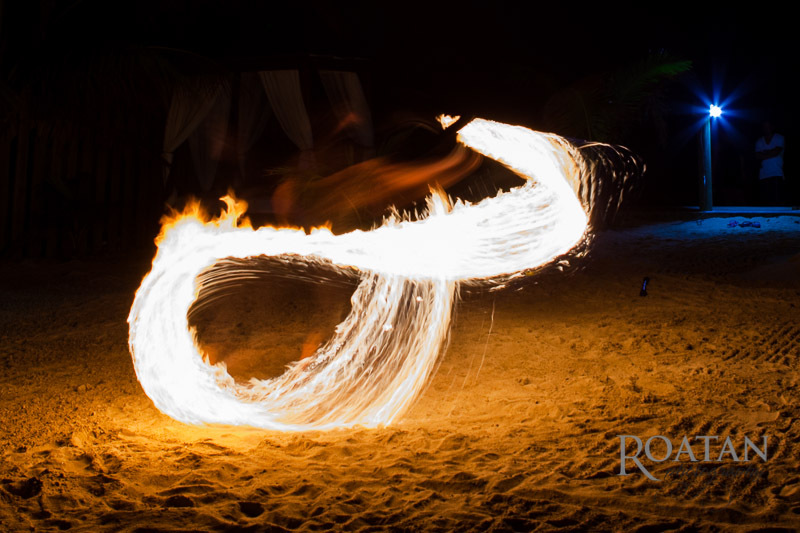 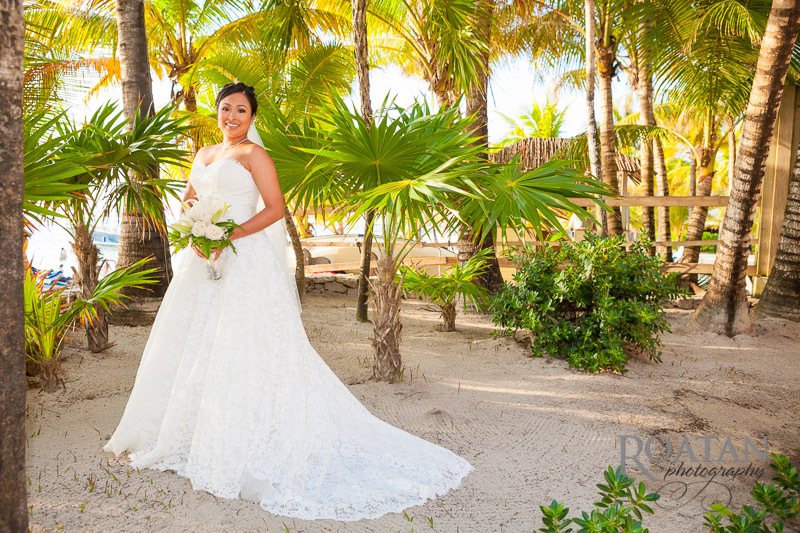 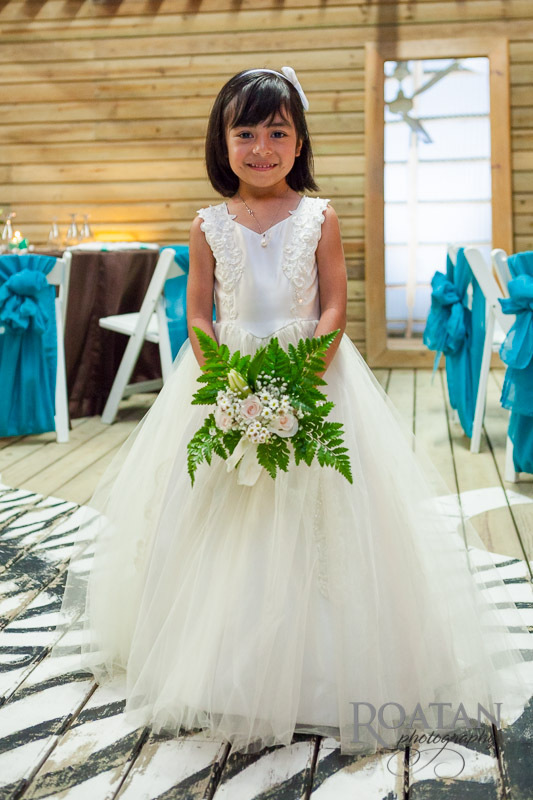 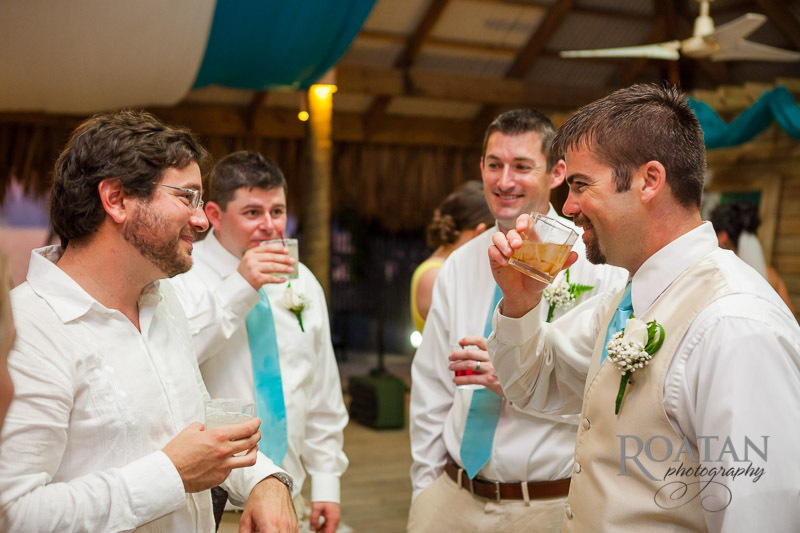 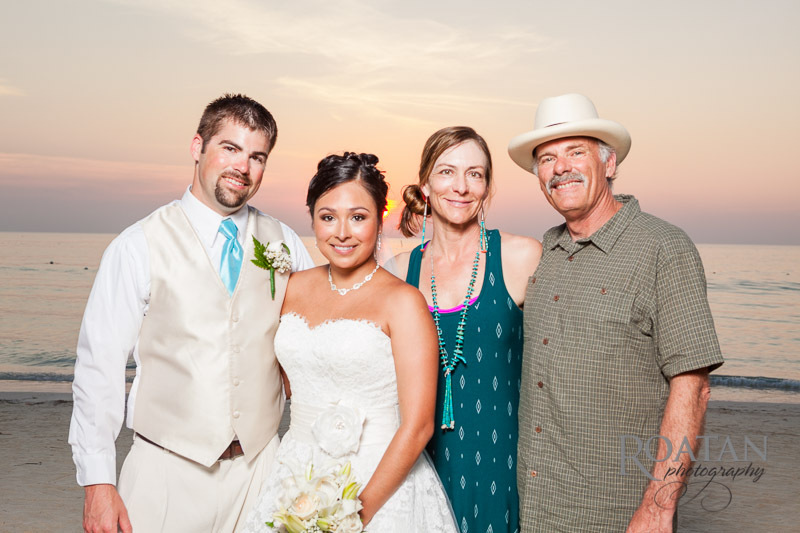 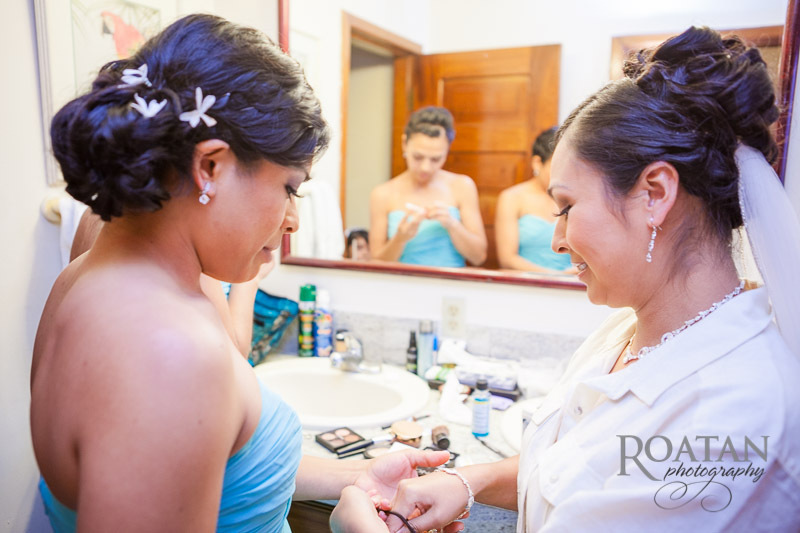 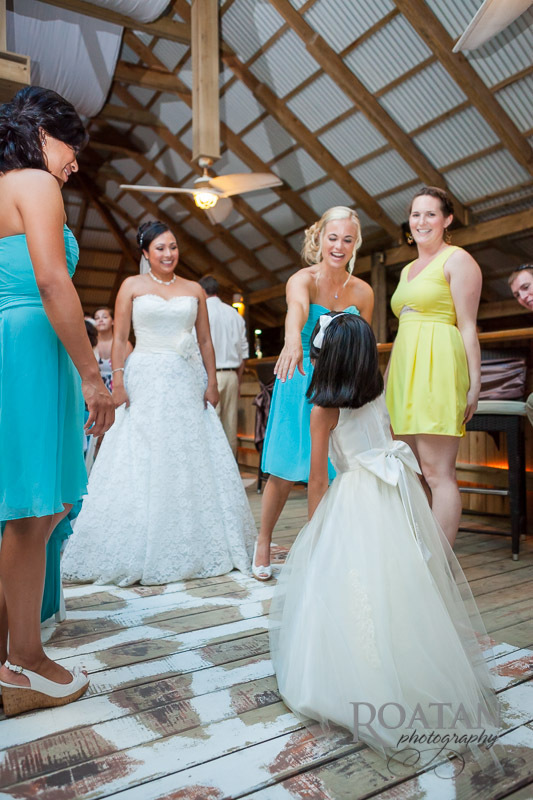 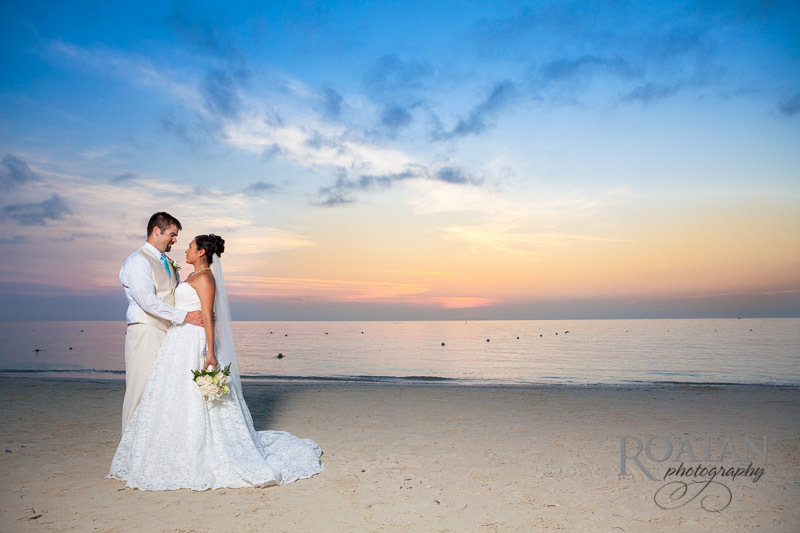 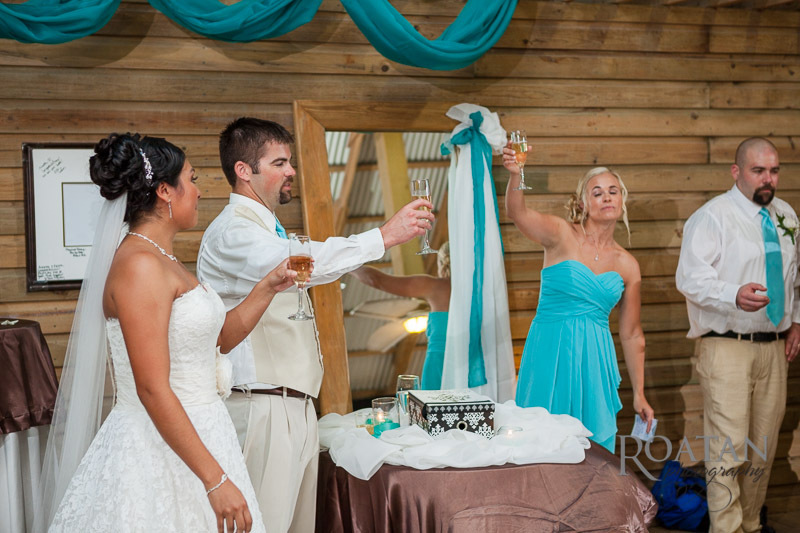 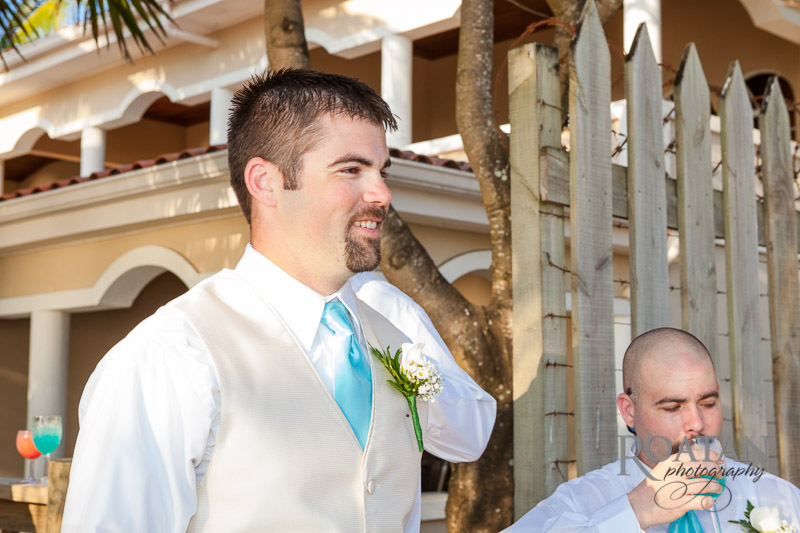 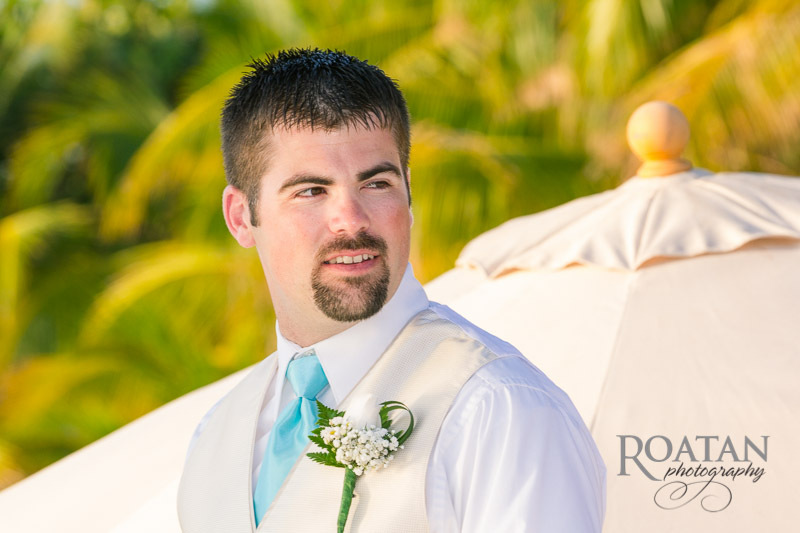 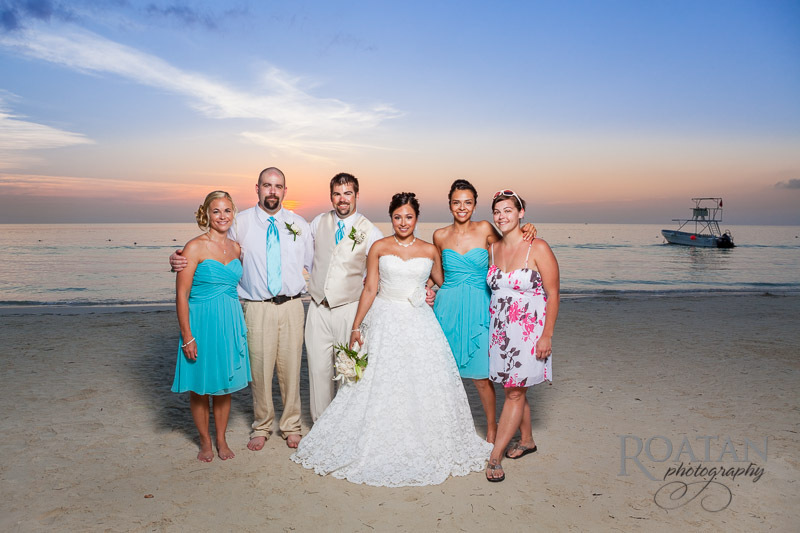 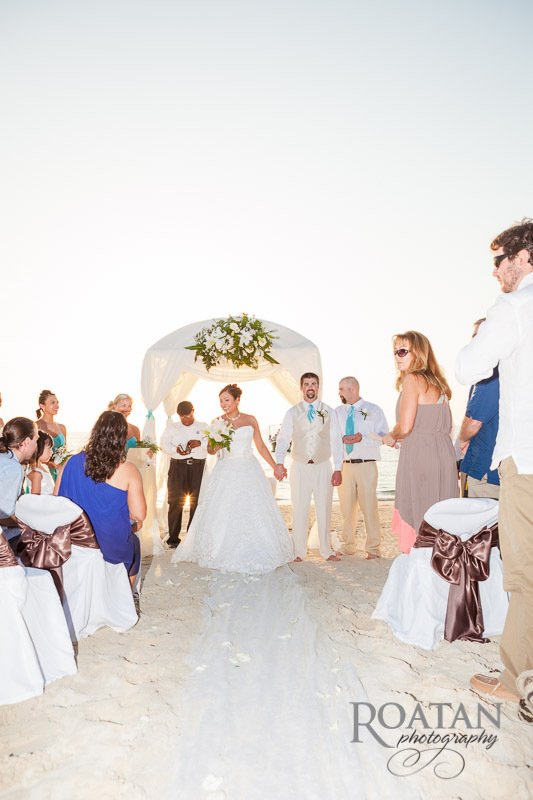 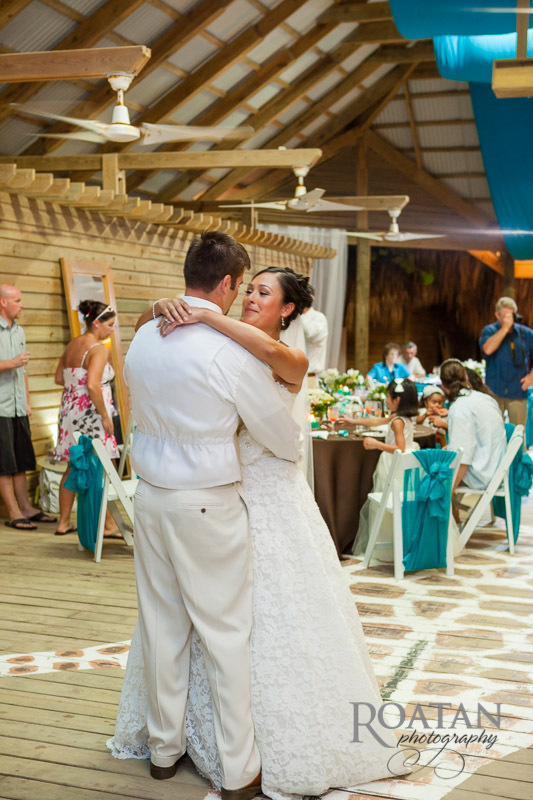 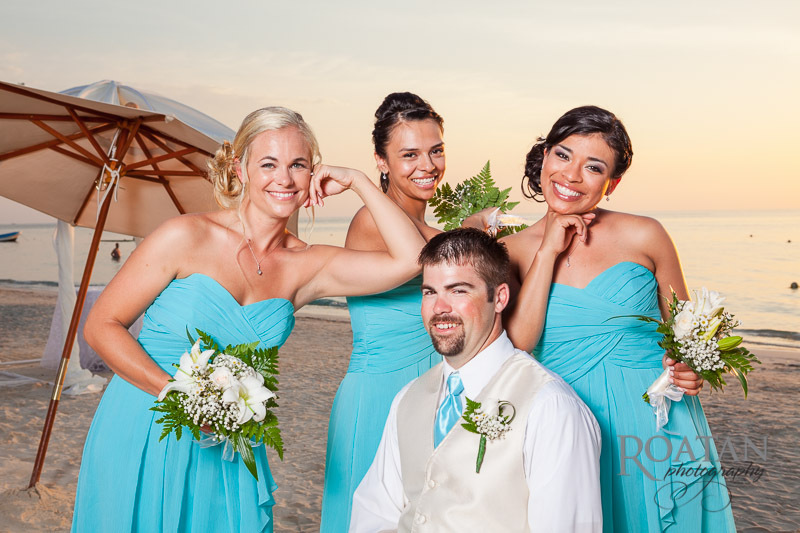 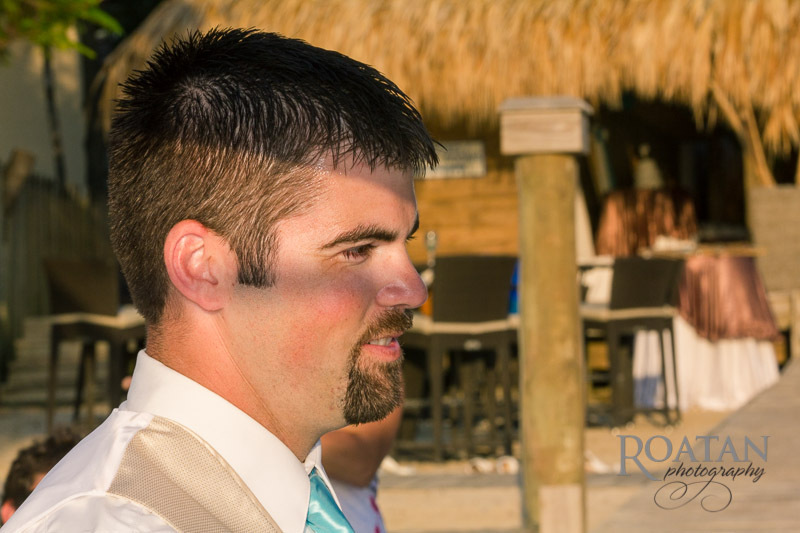 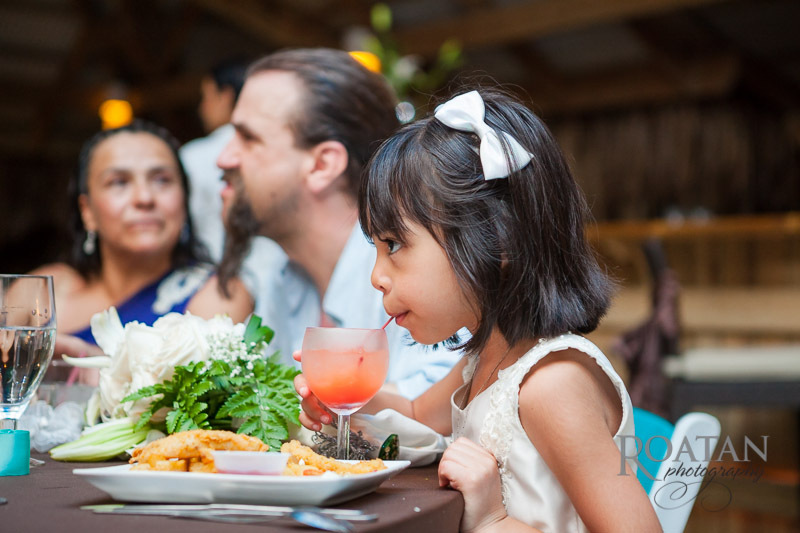 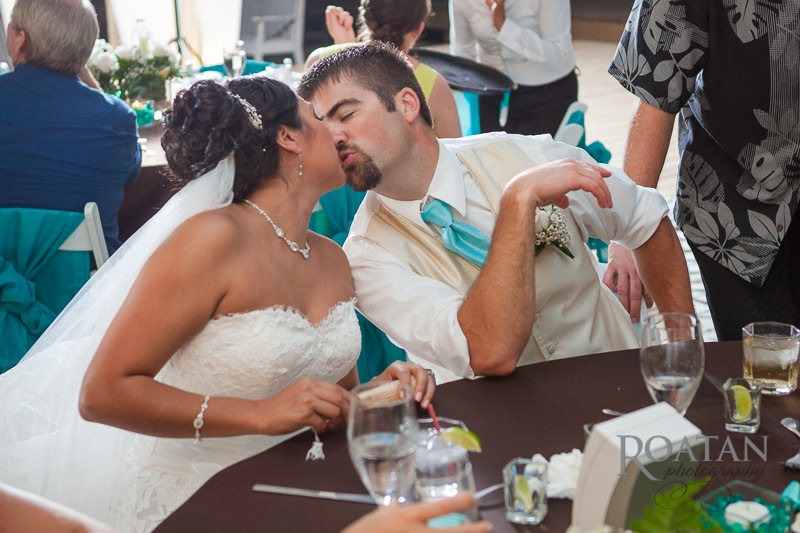 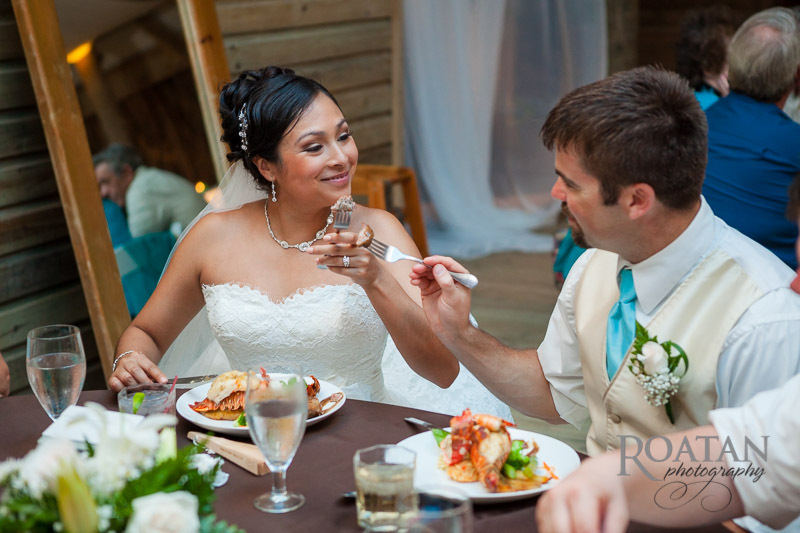 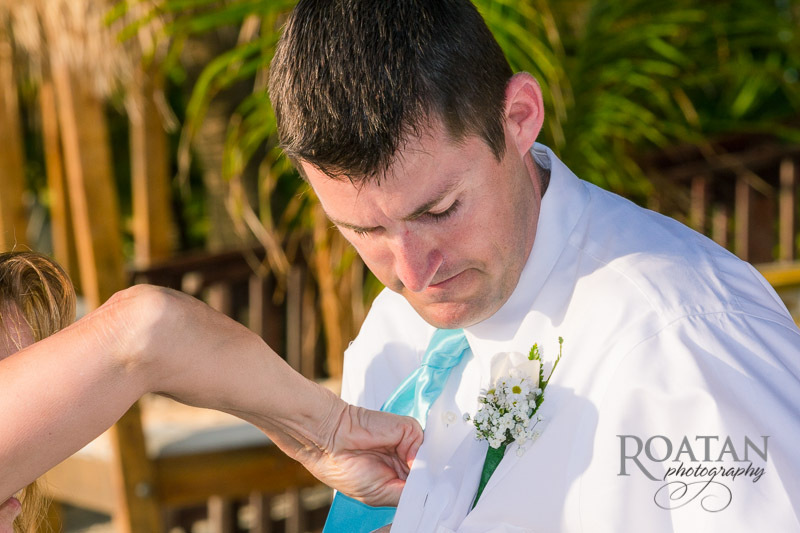 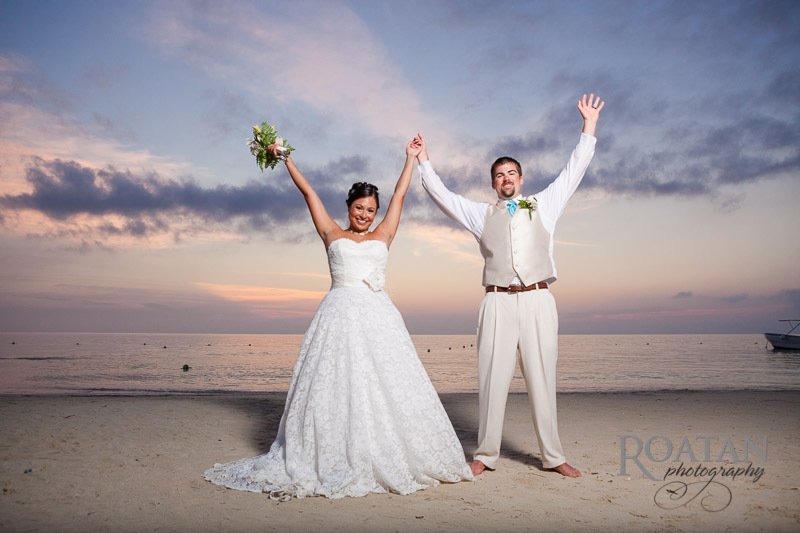 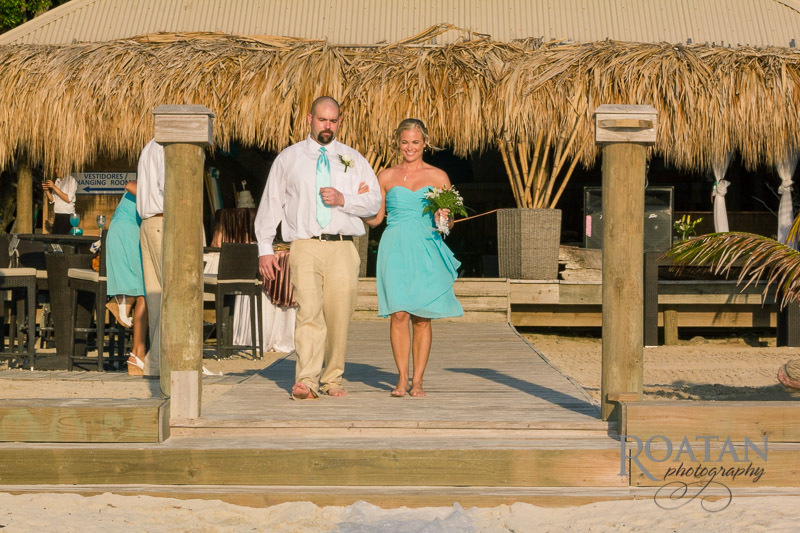 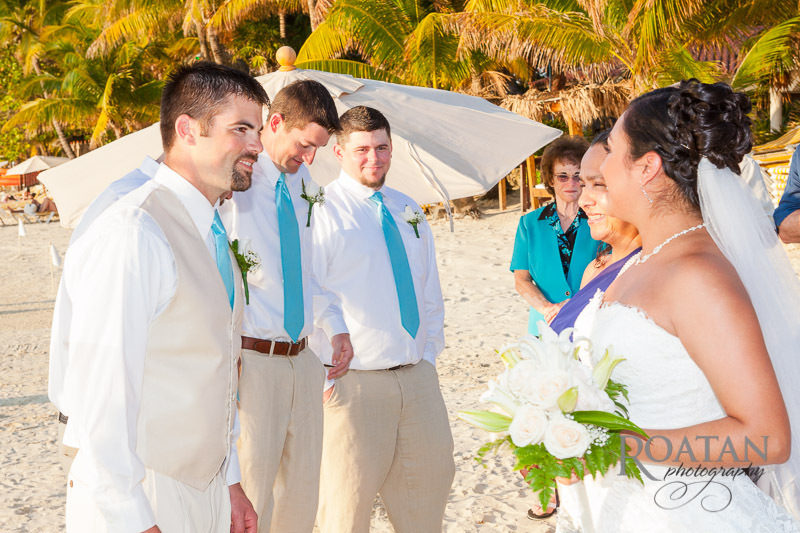 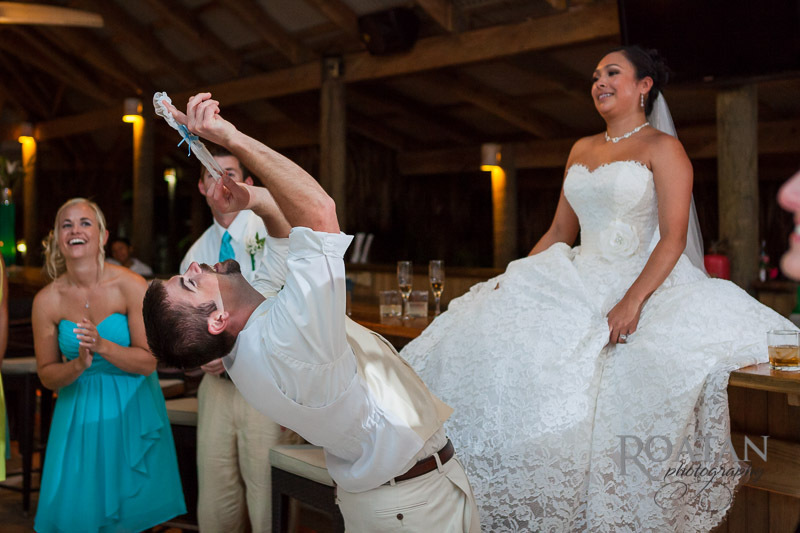 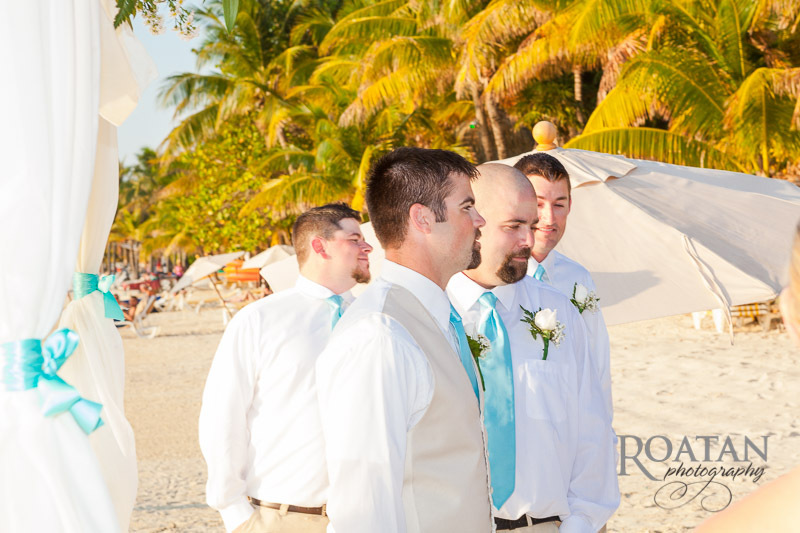 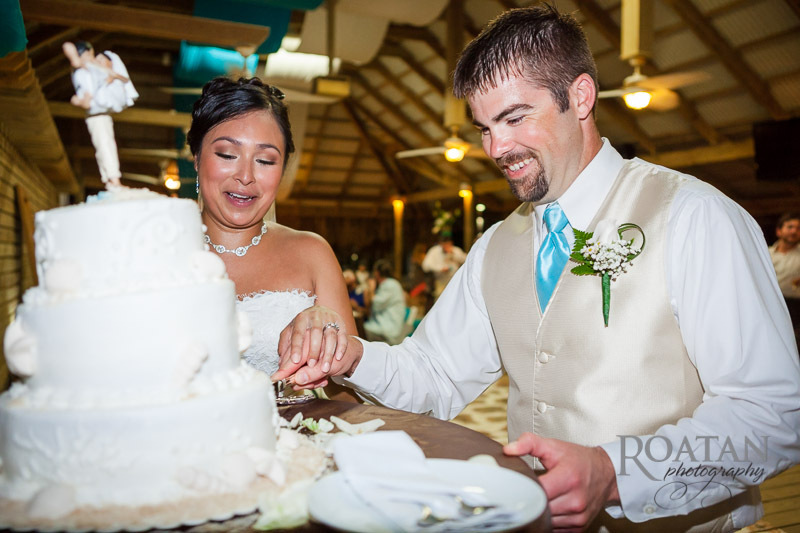 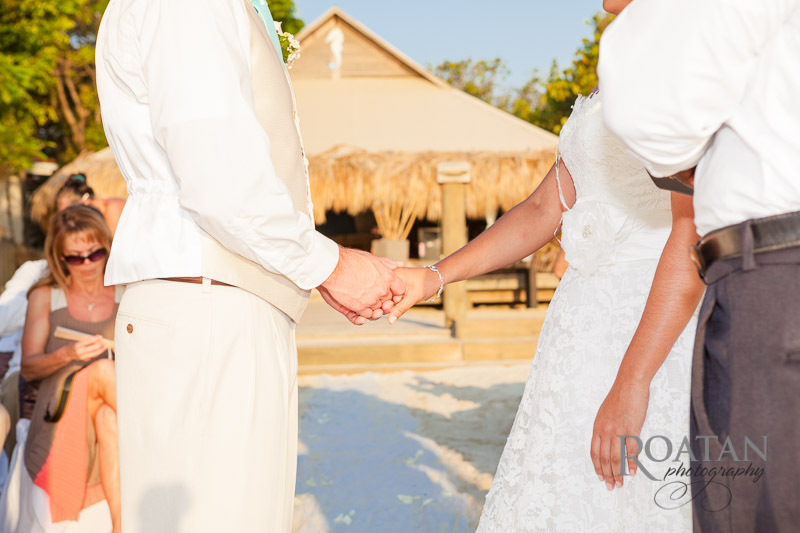 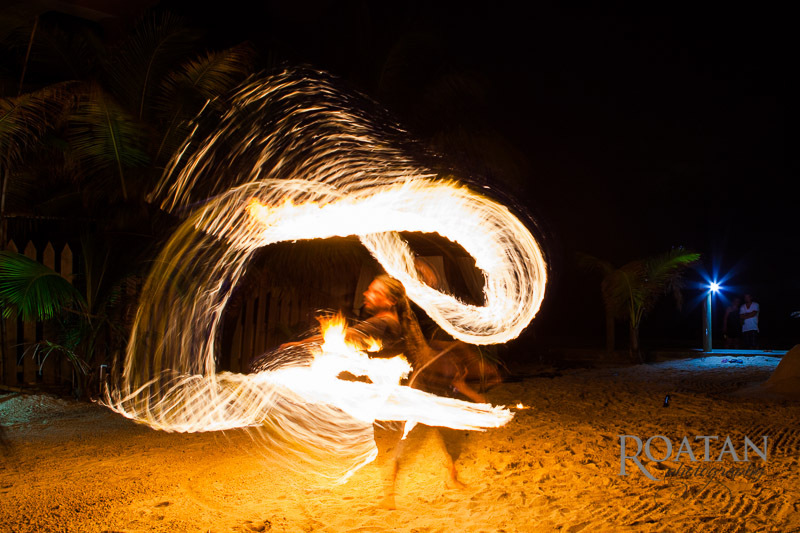 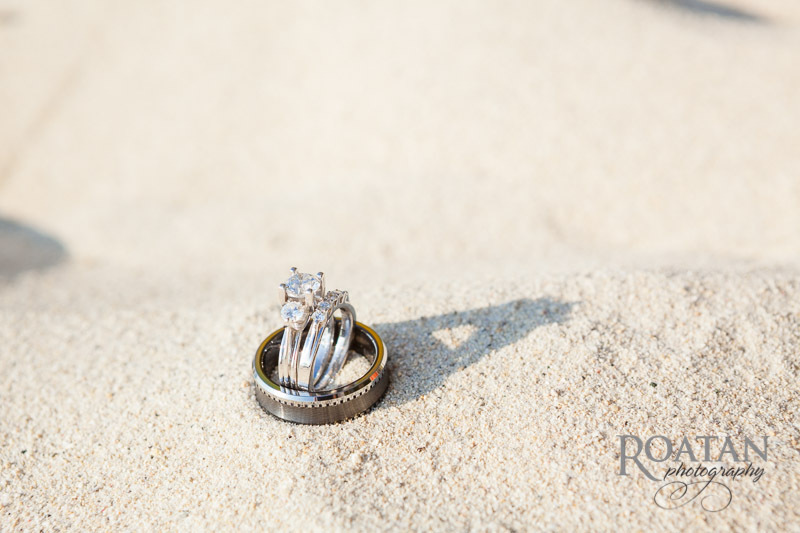 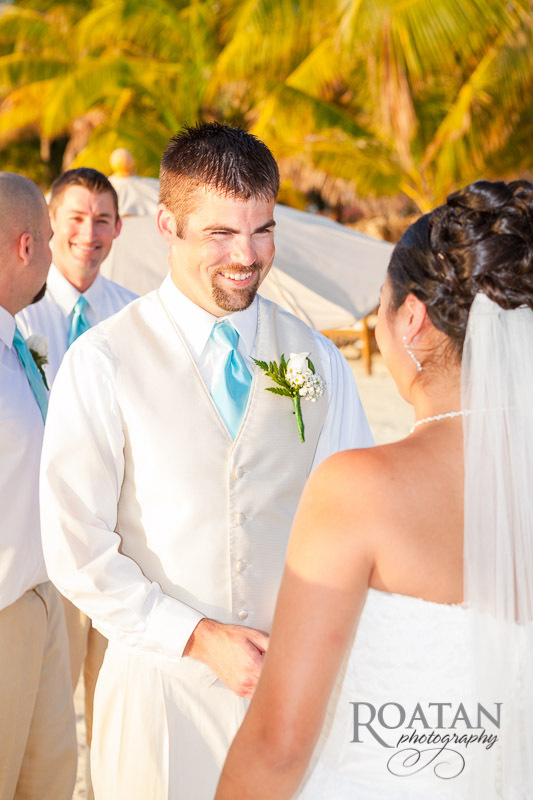 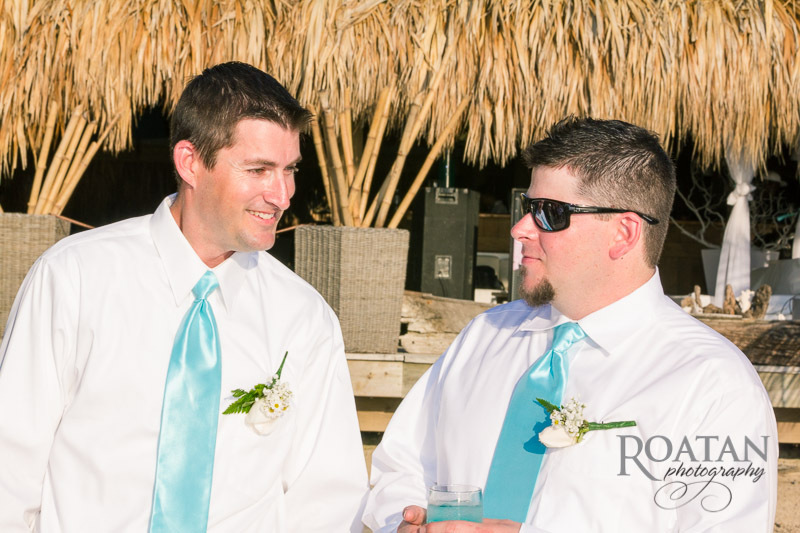 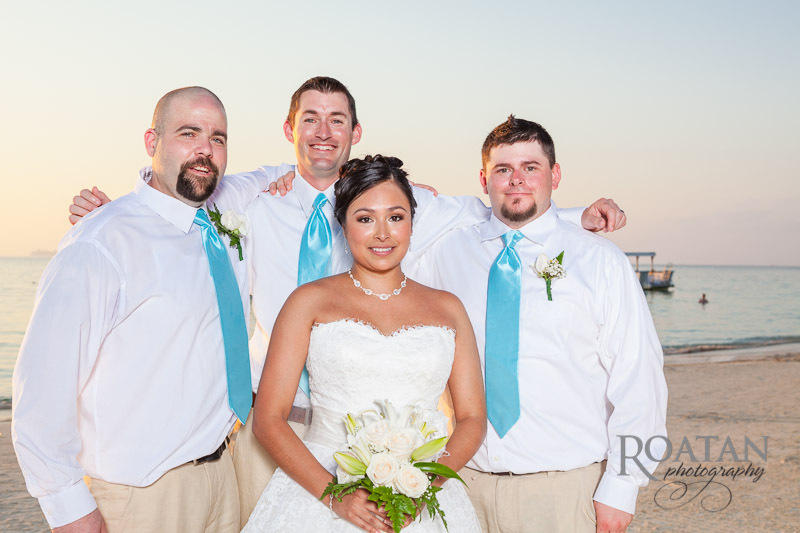 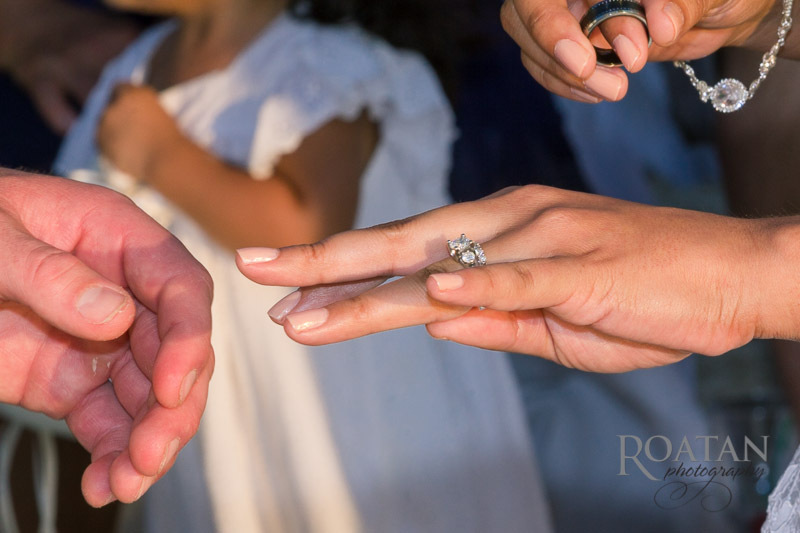 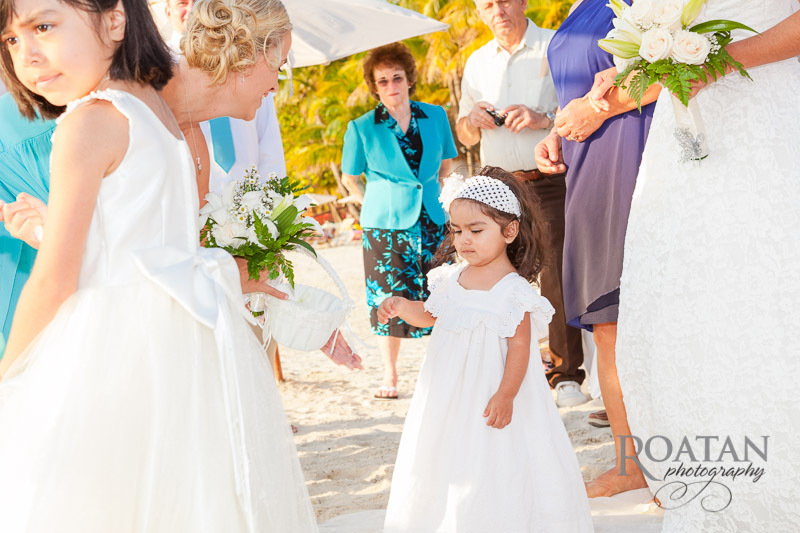 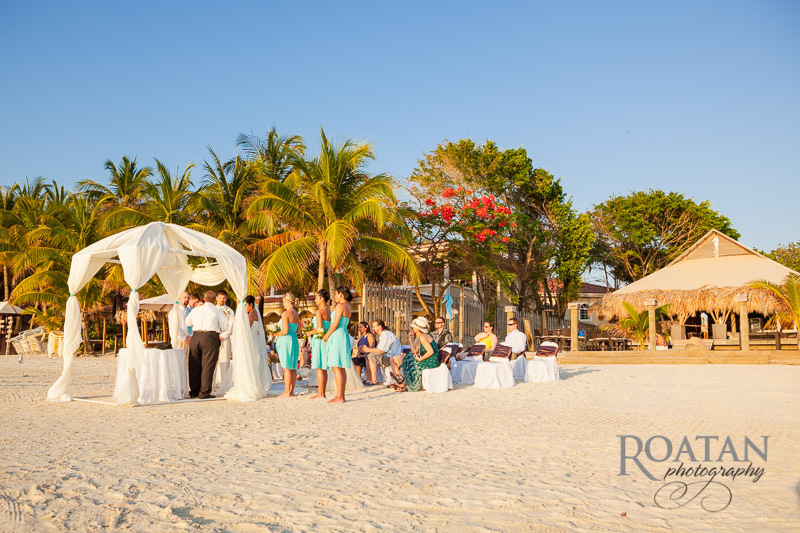 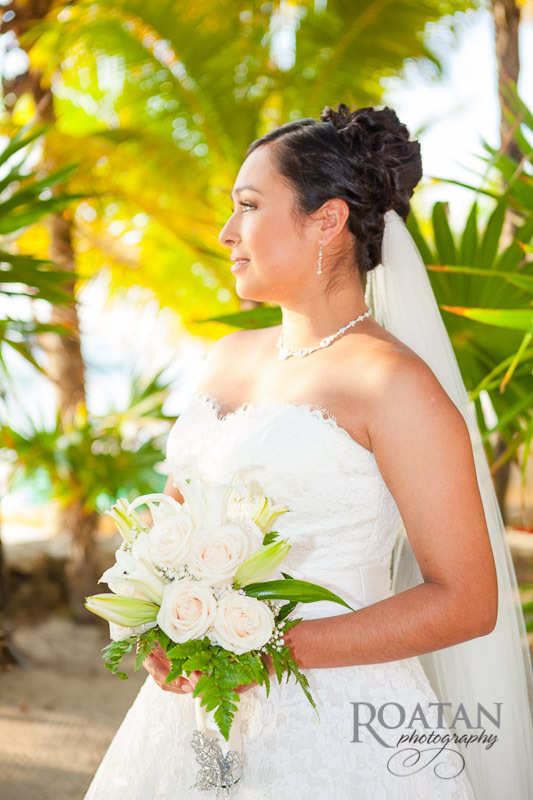 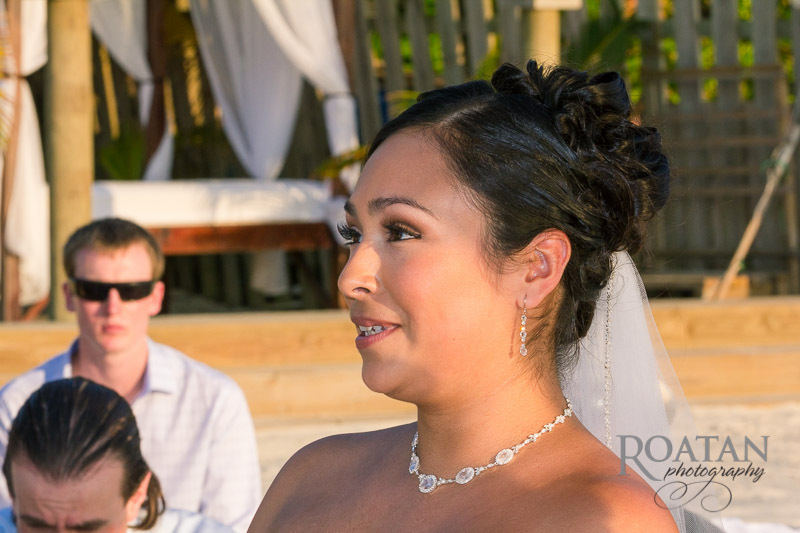 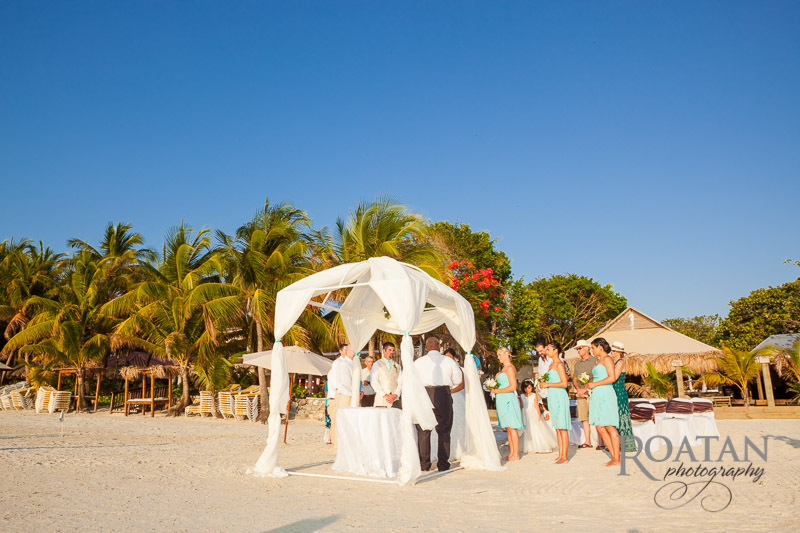 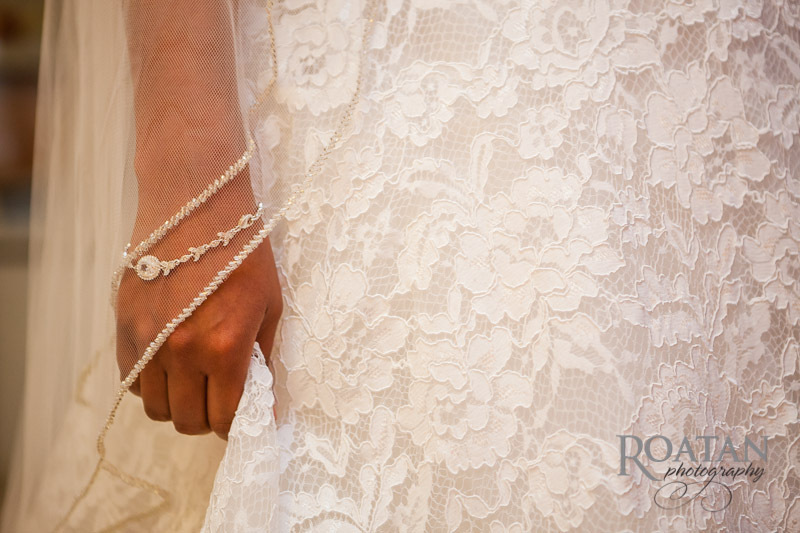 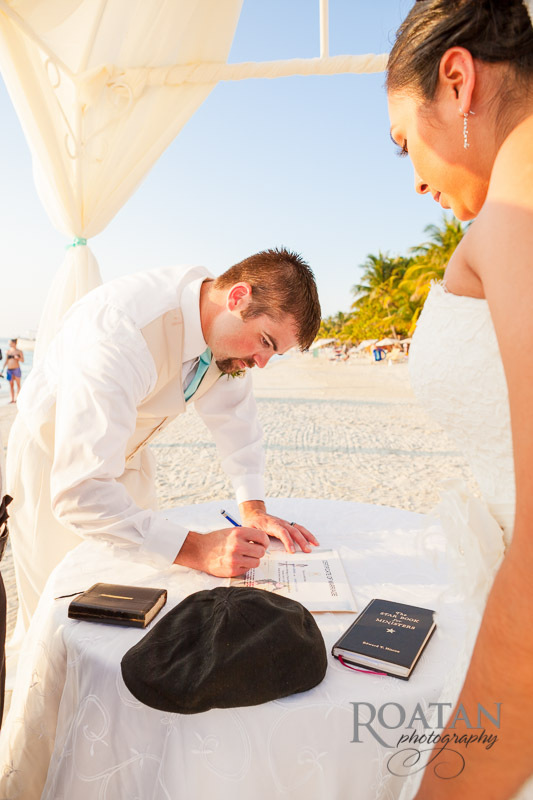 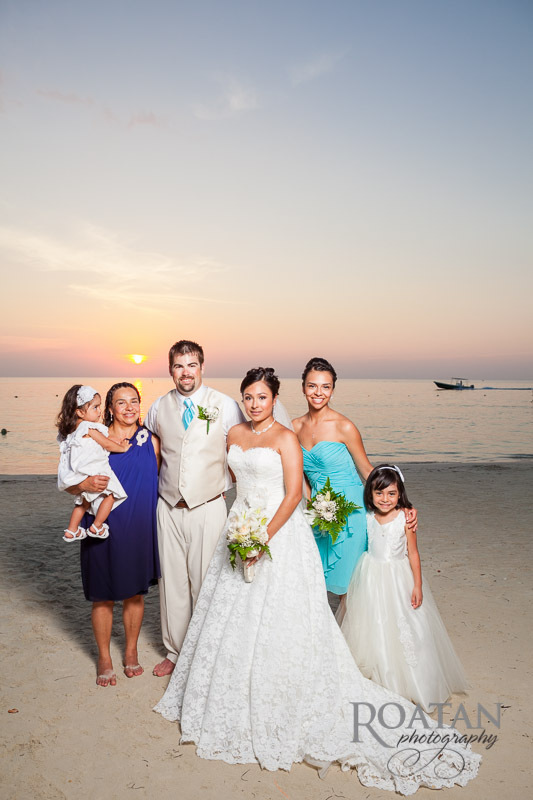 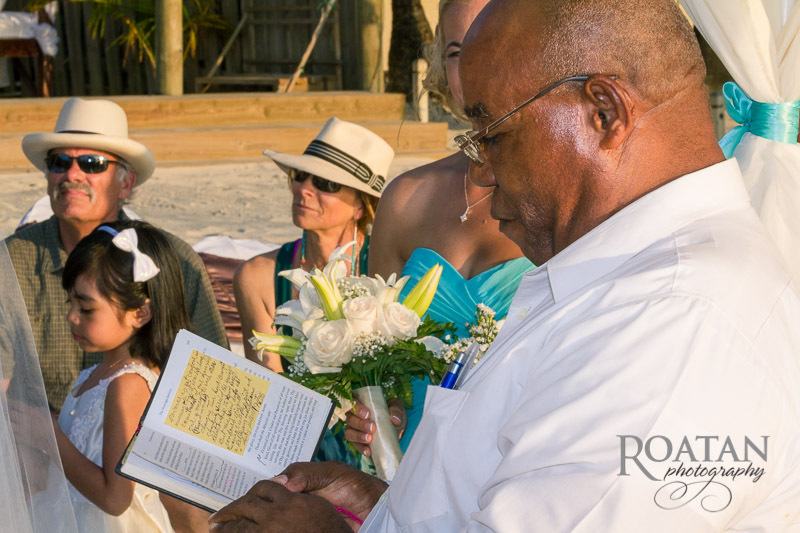 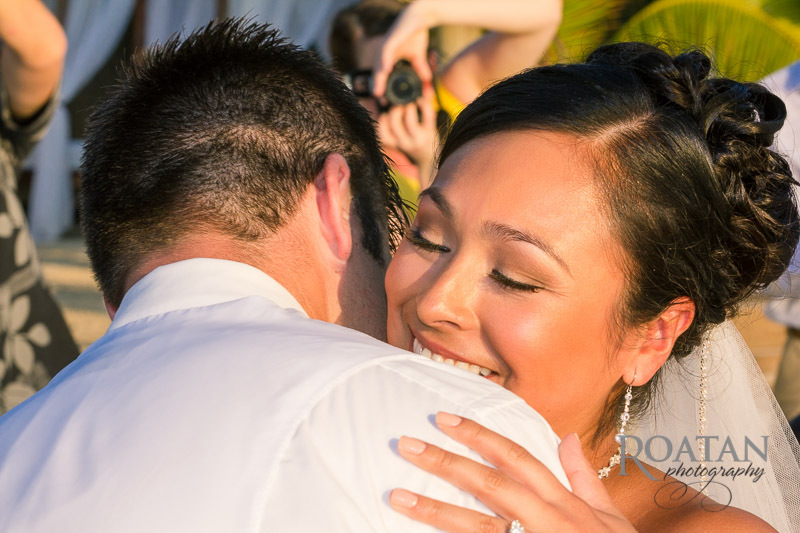 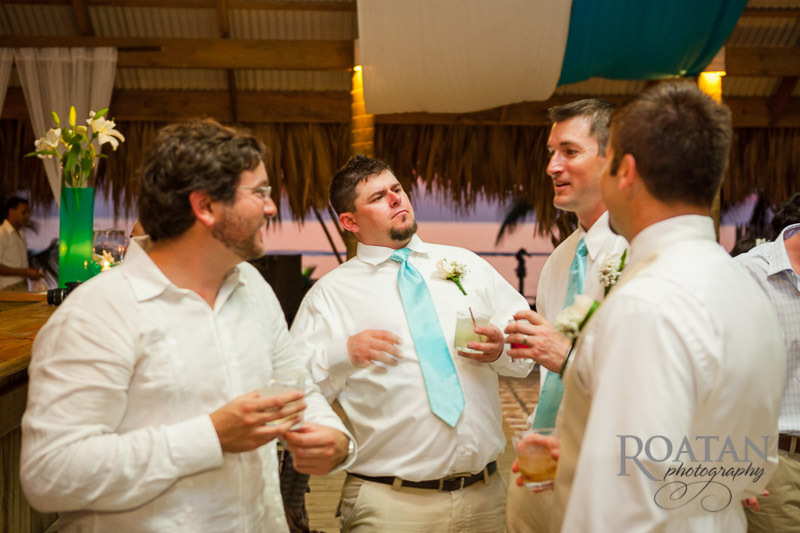 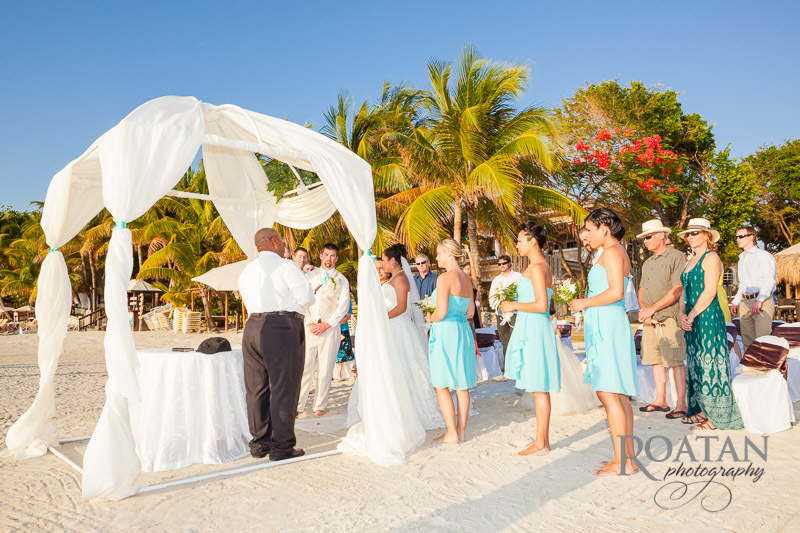 Annette and Justin had a beautiful sunset wedding at Mayan Princess on West Bay Beach. 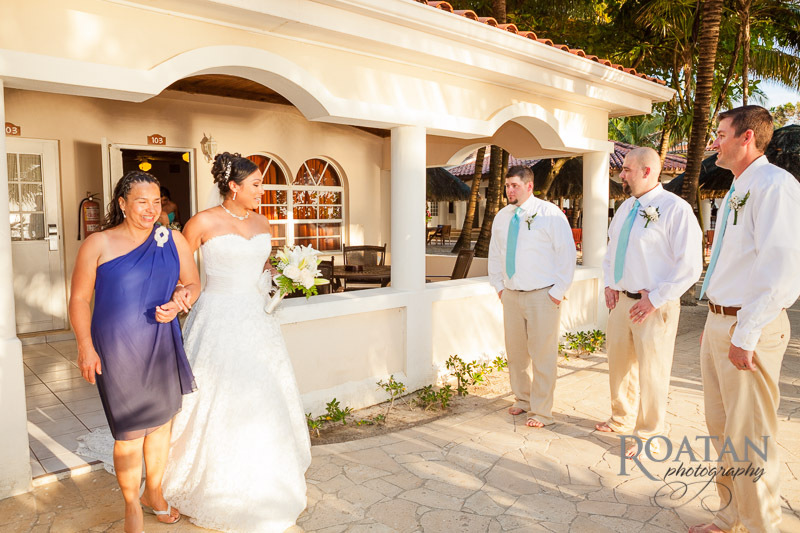 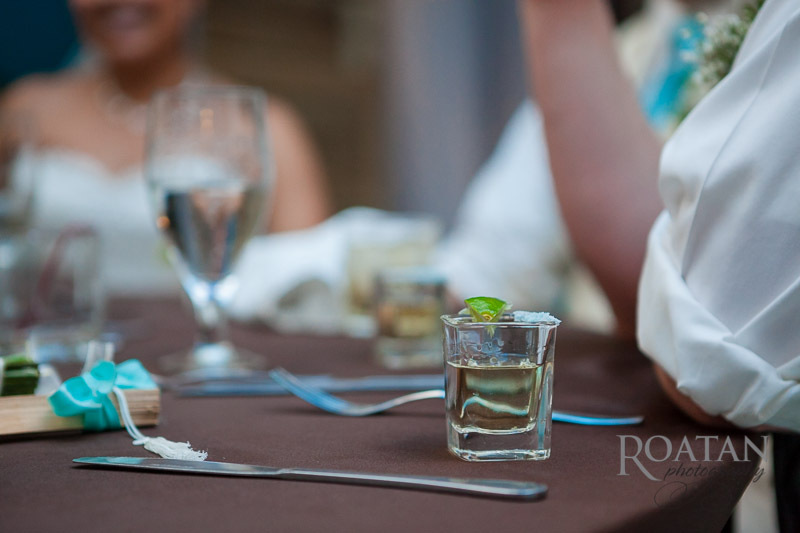 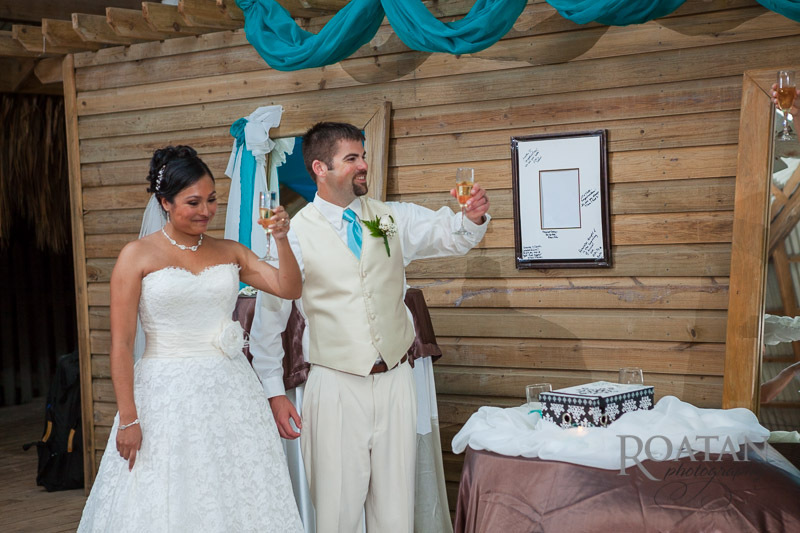 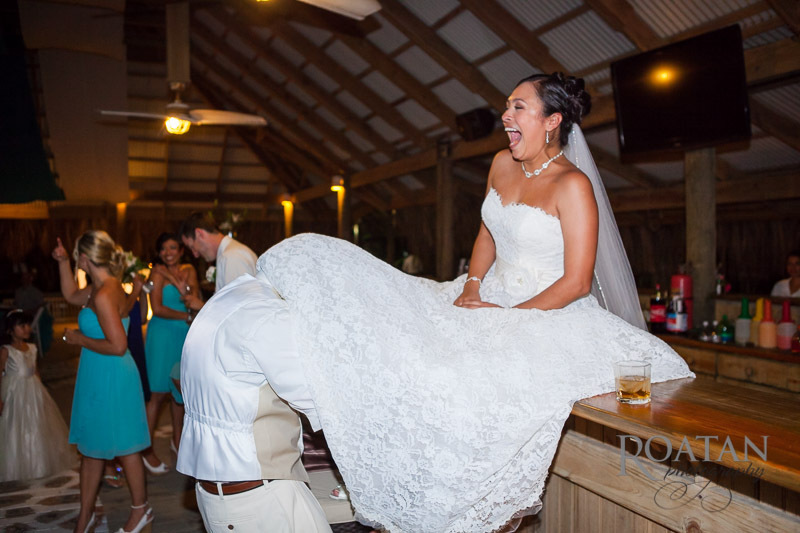 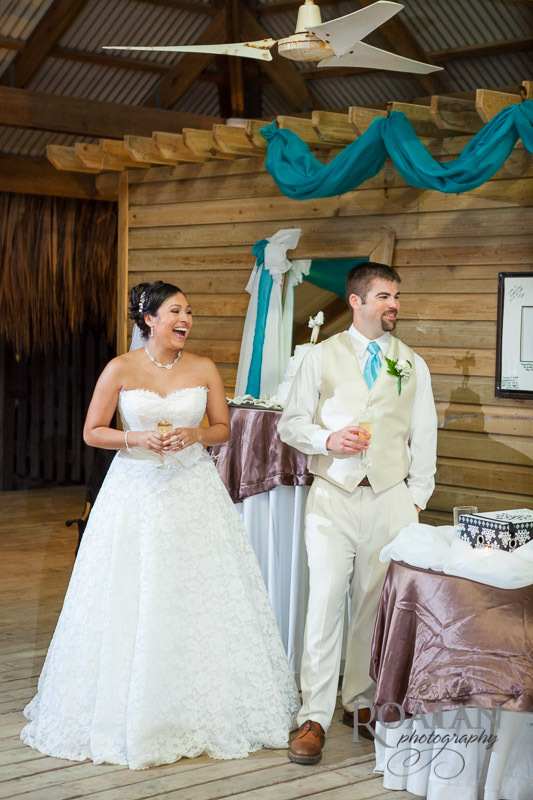 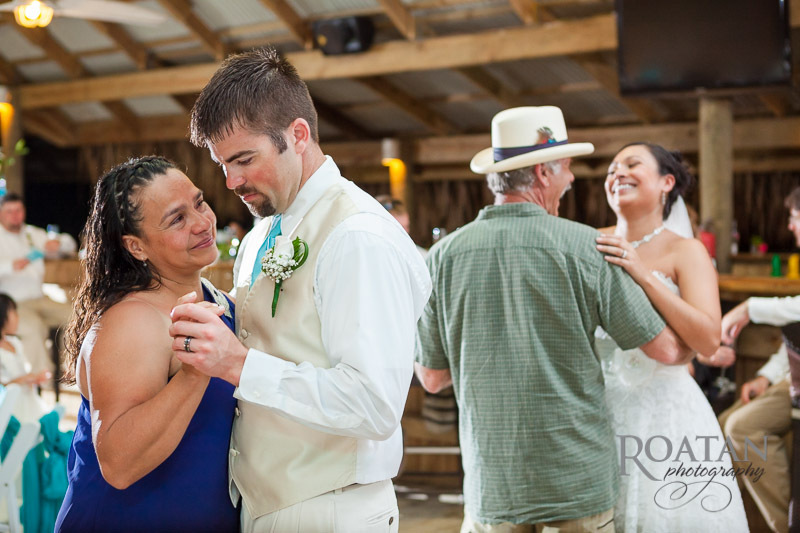 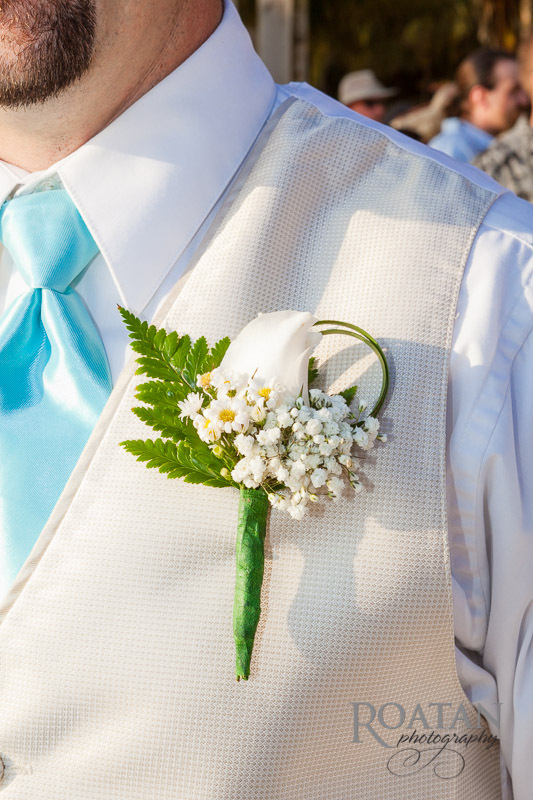 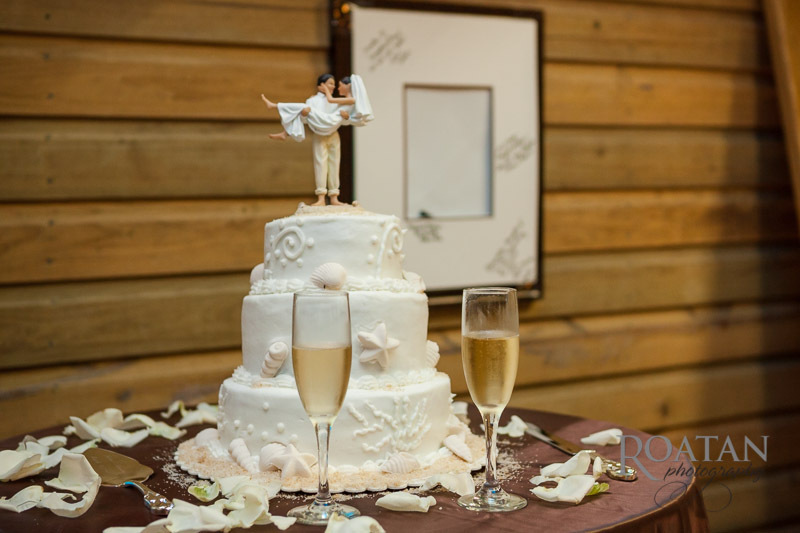 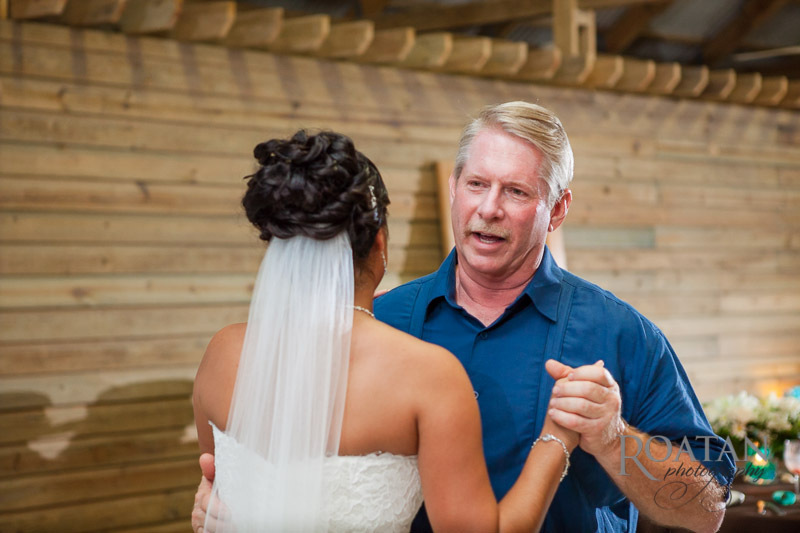 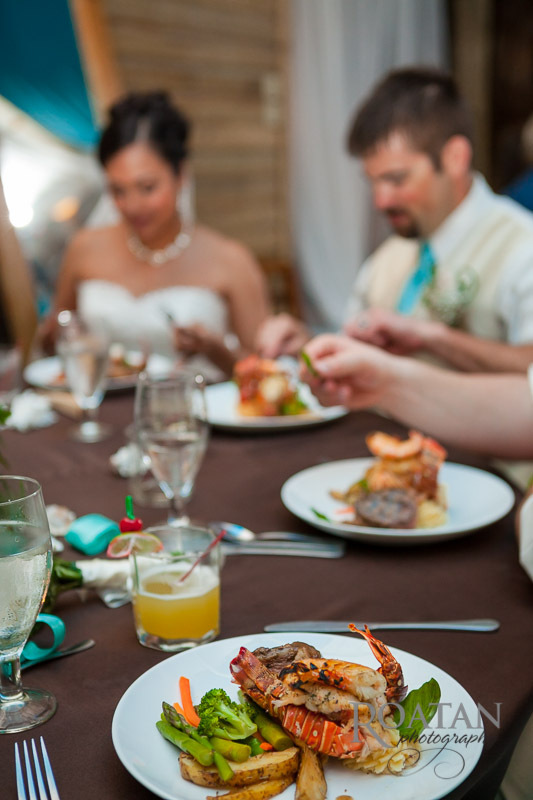 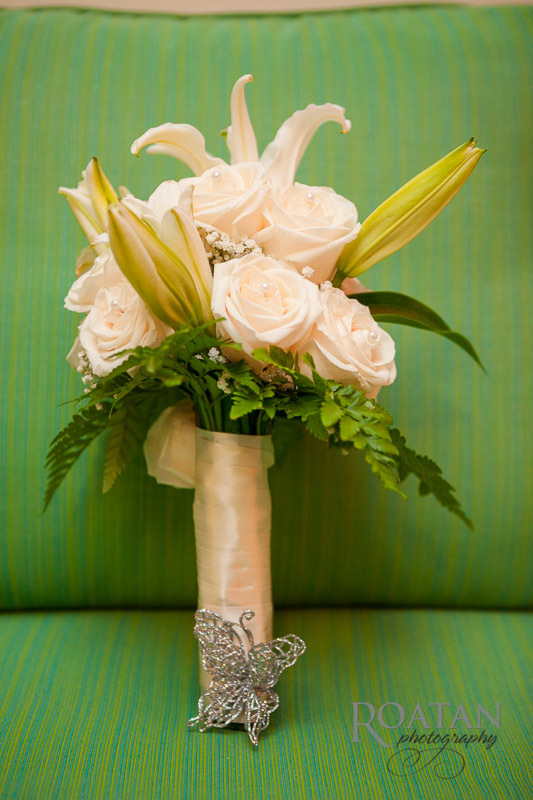 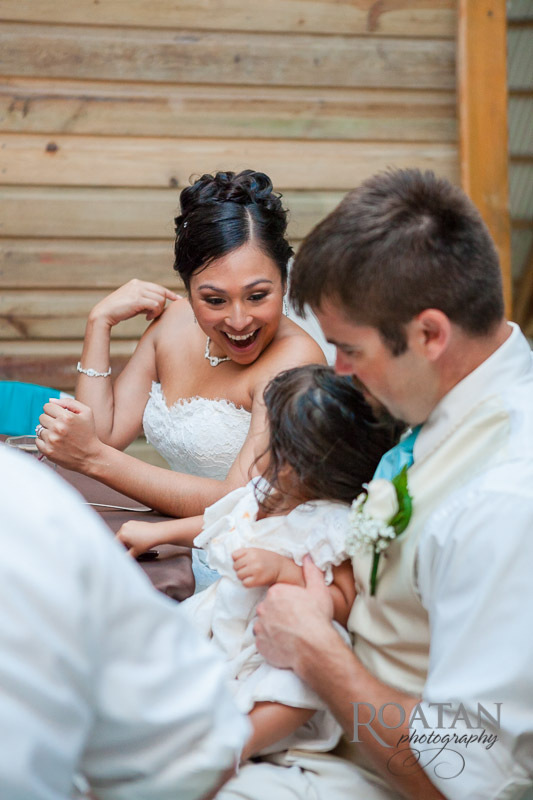 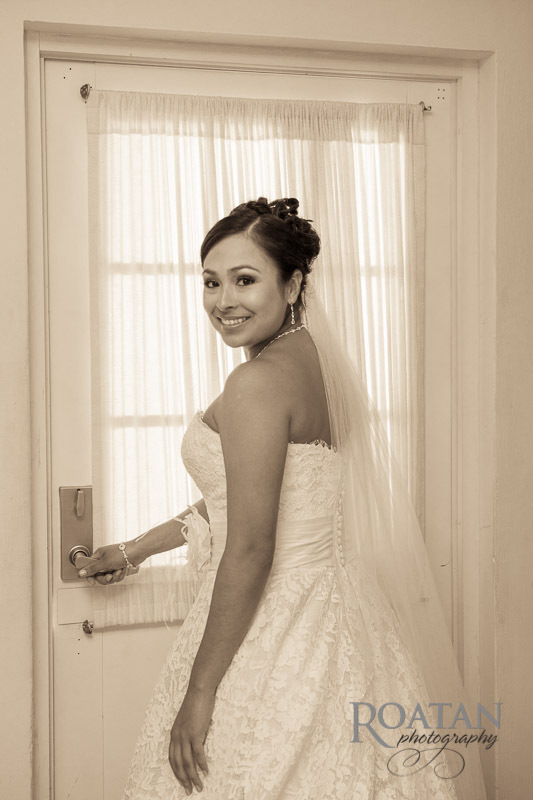 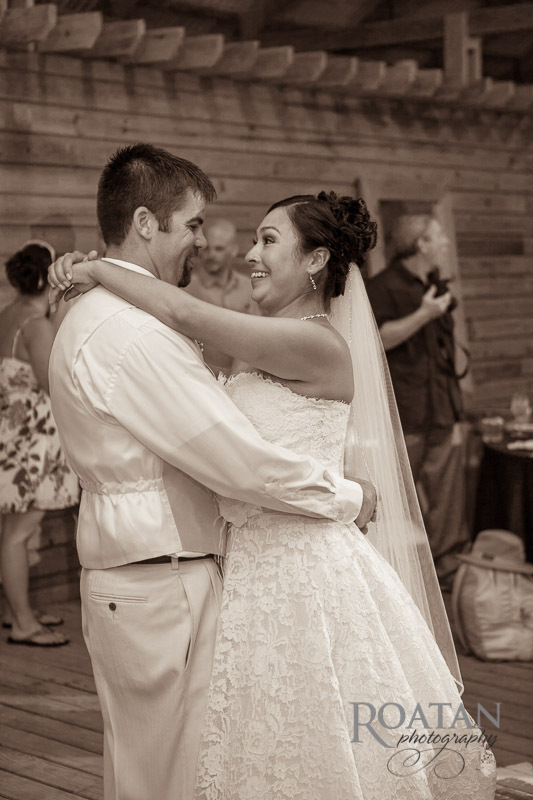 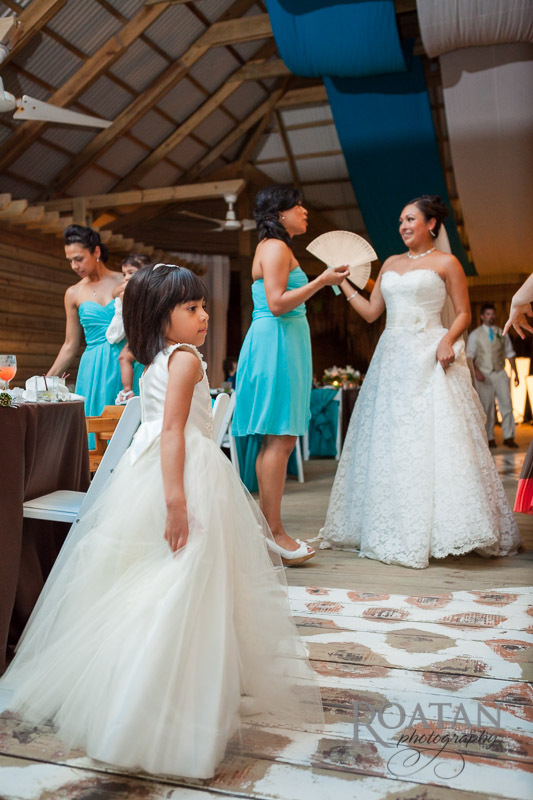 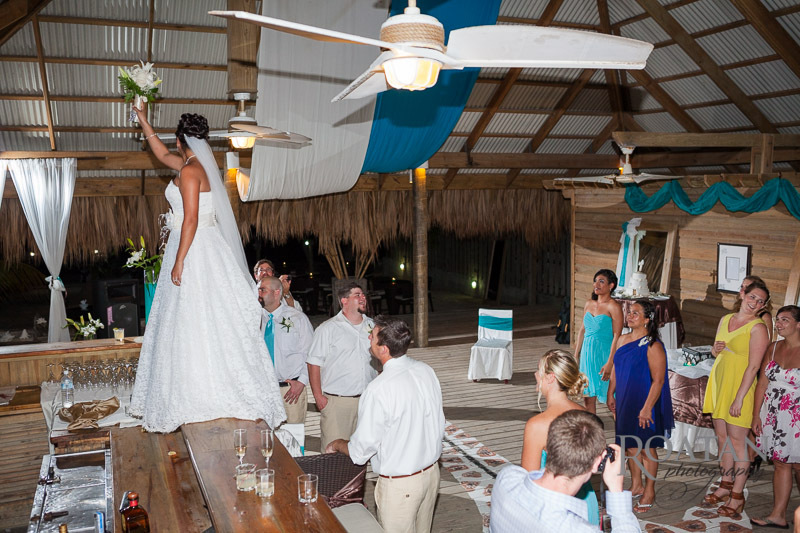 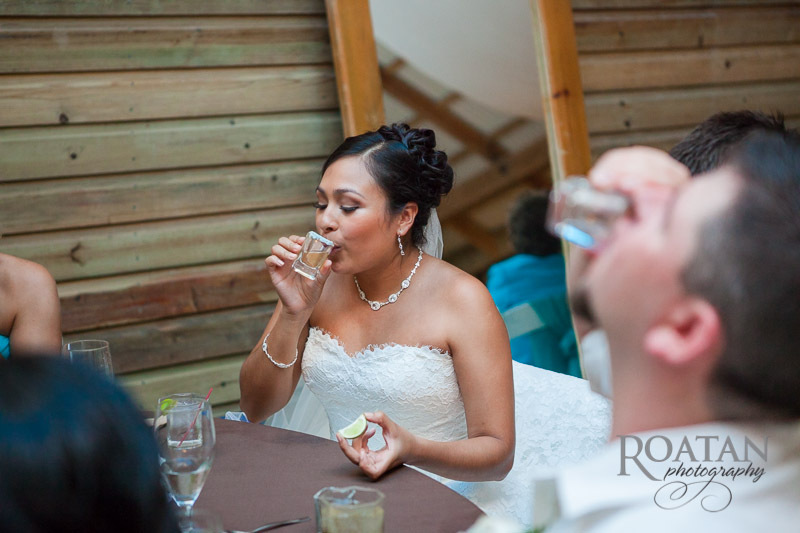 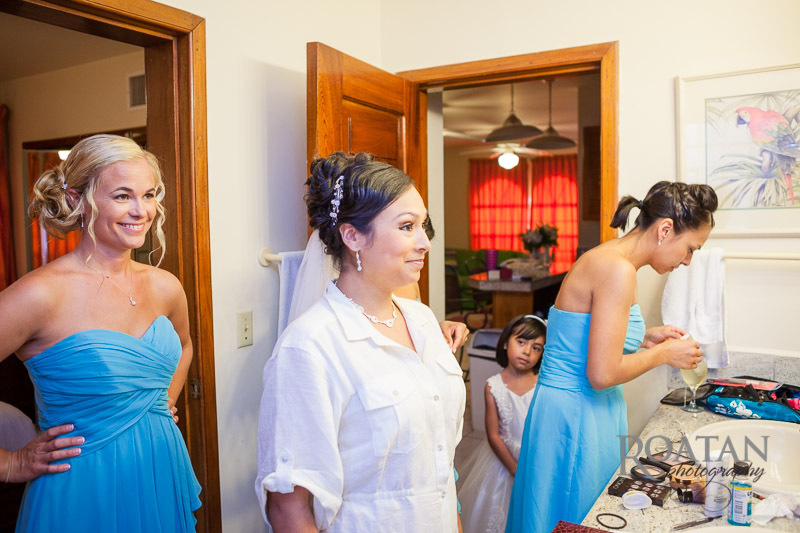 The ceremony was followed by the reception just a few steps away. 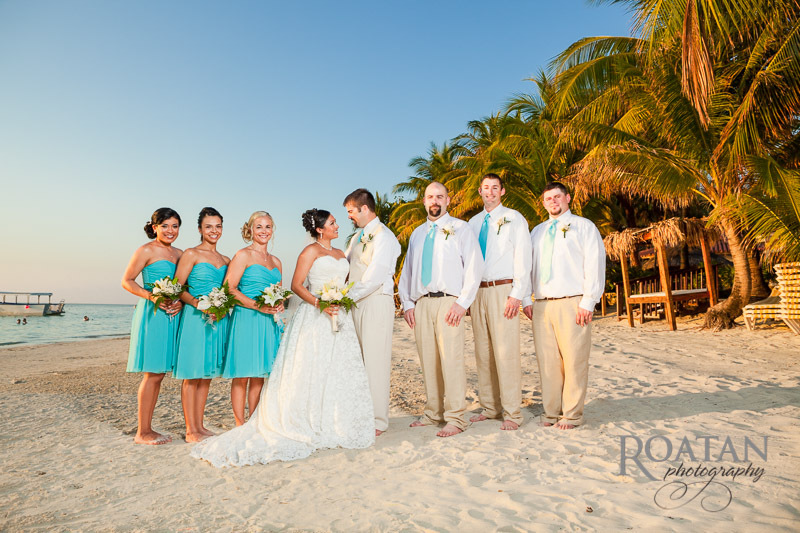 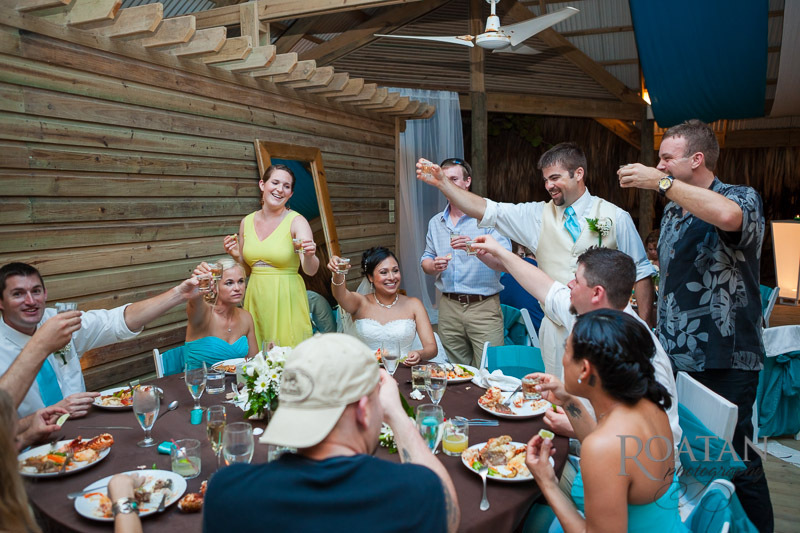 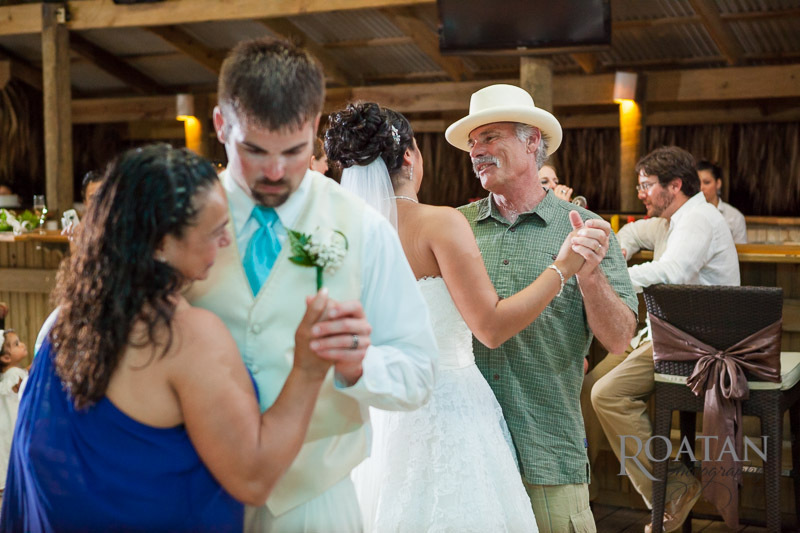 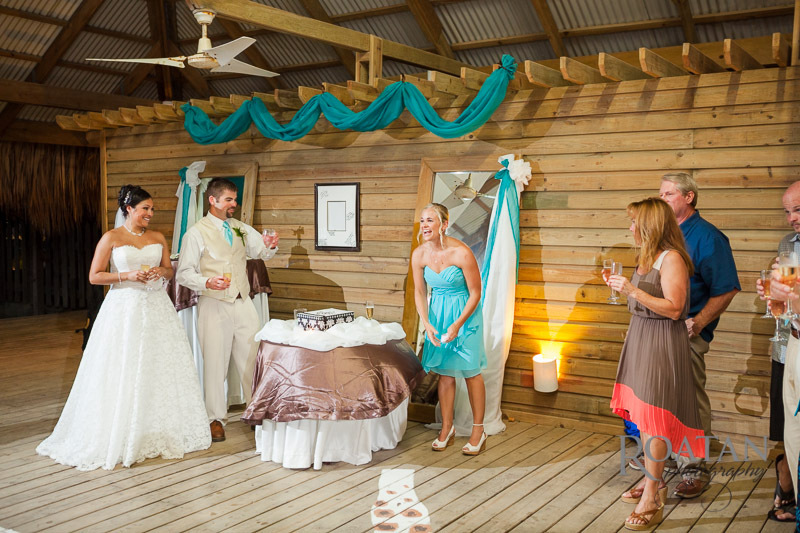 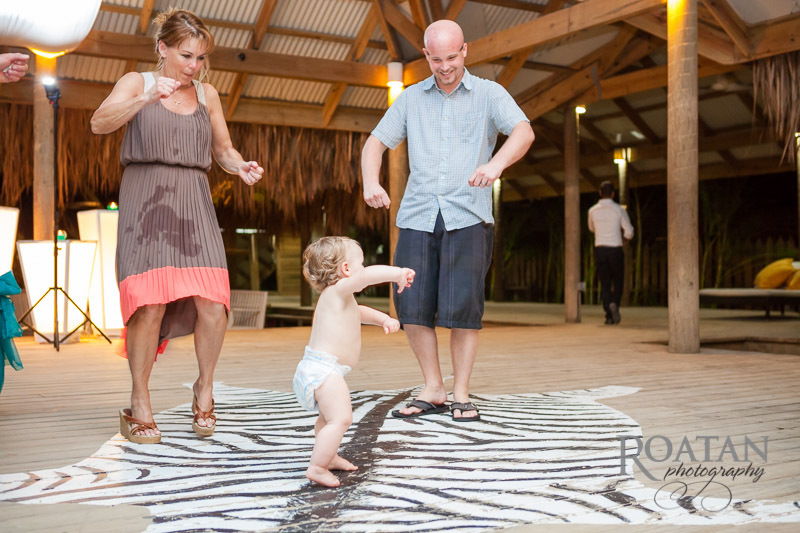 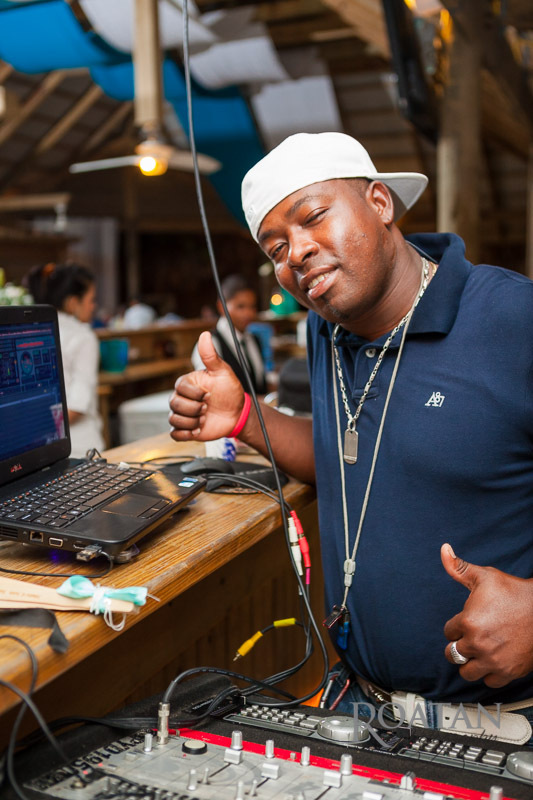 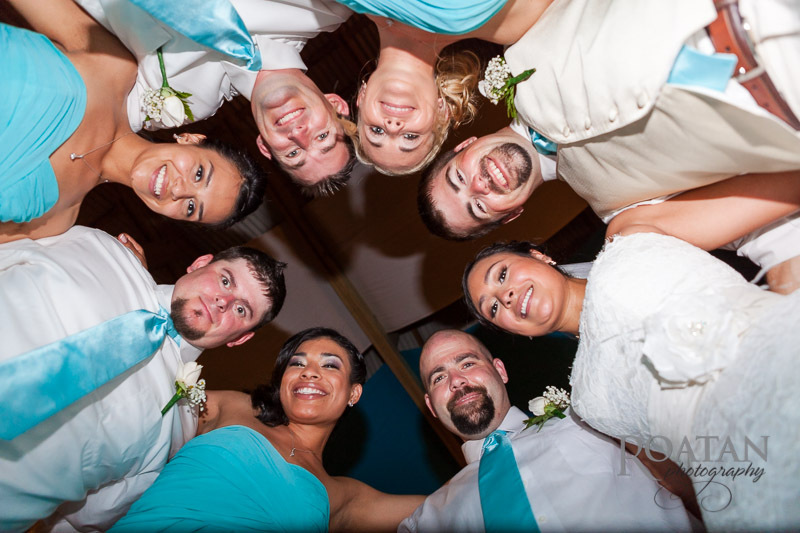 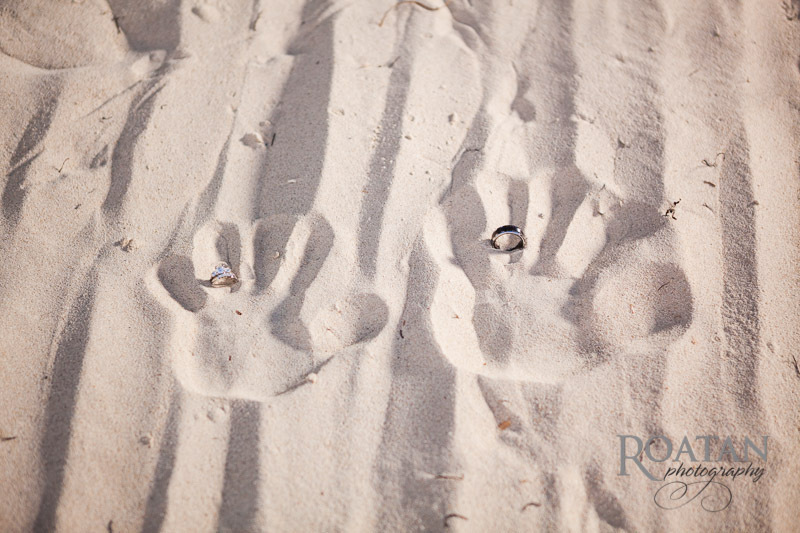 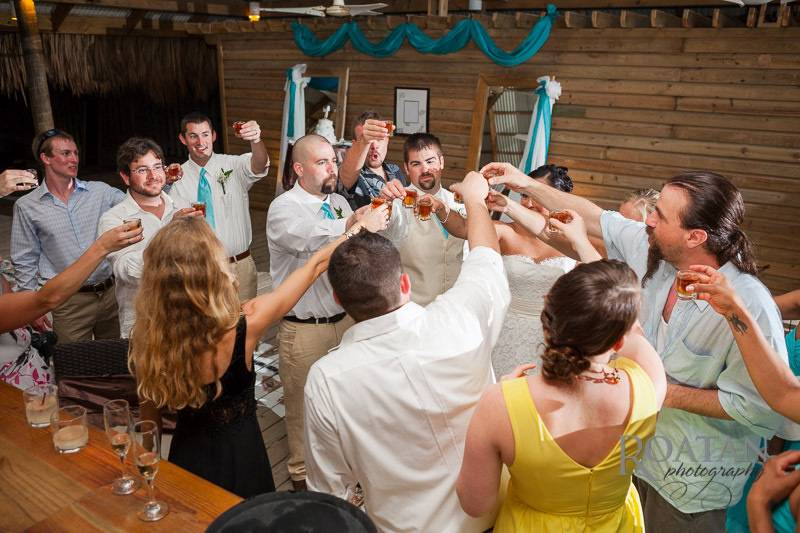 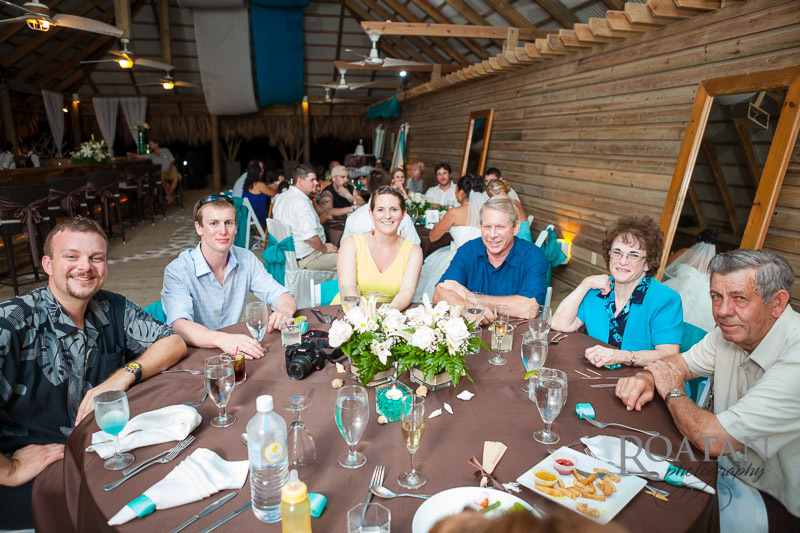 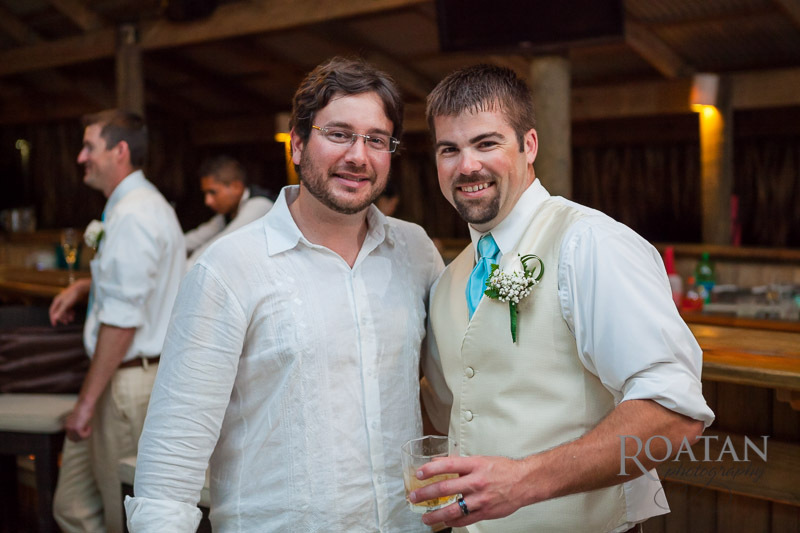 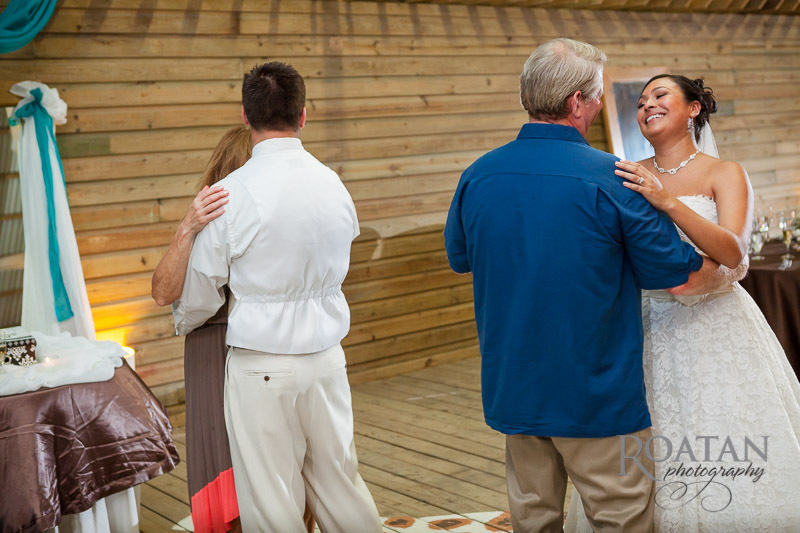 After creating some portraits on the beach the newlyweds joined friends and family for a lively celebration.